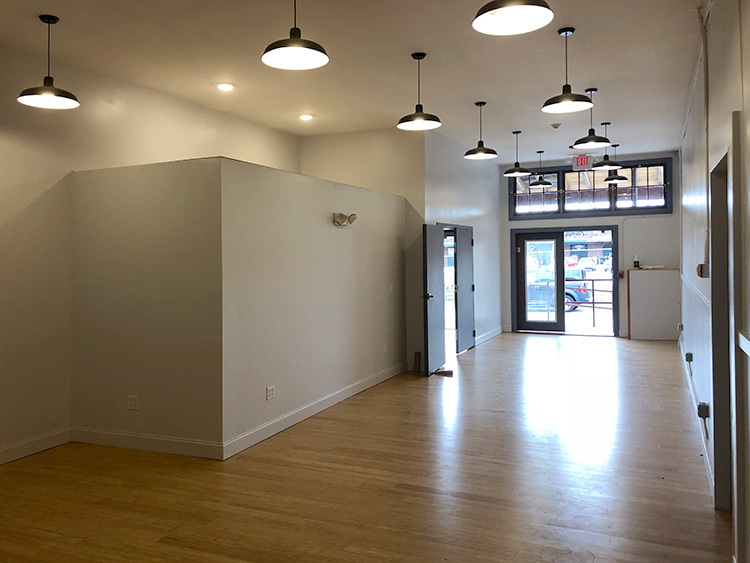 Bluedog Capital Partners is proud to have partnered with local Developer Erik Bright of Rathbone Studios to renovate one of Providence’s last historic farmers markets from a dilapidated vacant graffiti-covered structure into the newest destination of Providence’s Valley Arts District. 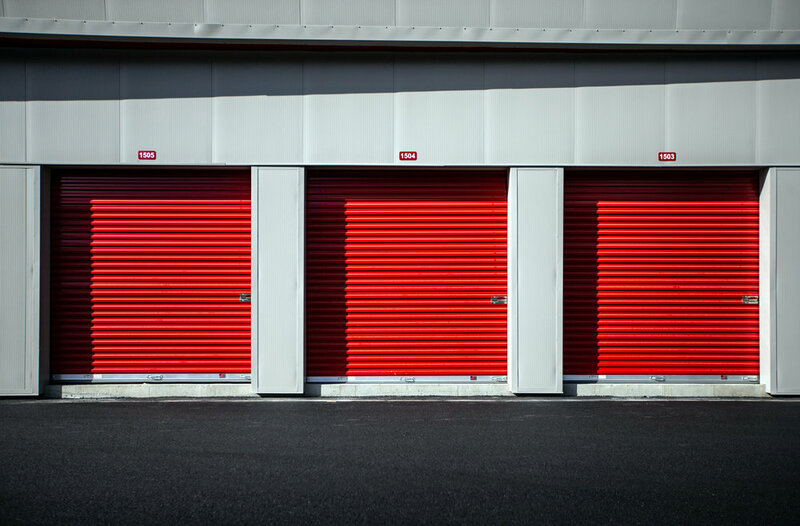 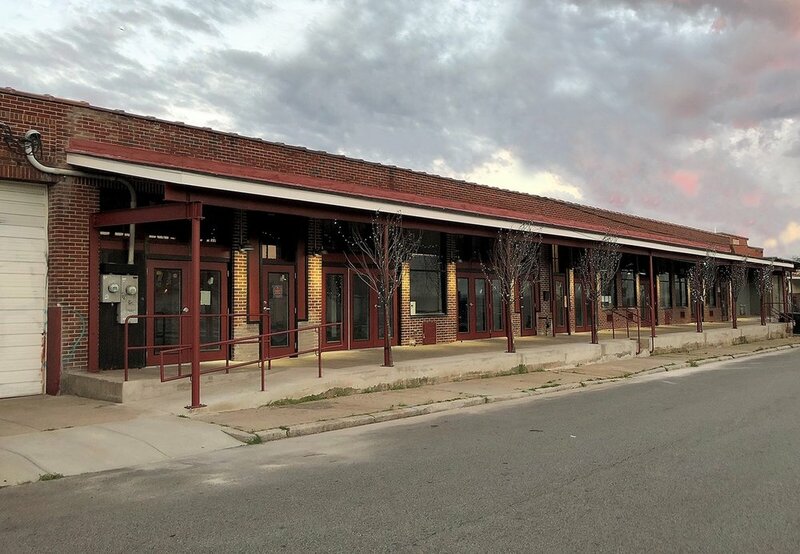 Known as a hub for arts centers, studios, and manufacturing spaces, the Valley Arts District is home to hundreds of artists within its two square miles, making it the ideal community for the addition of Rathbone Studios. 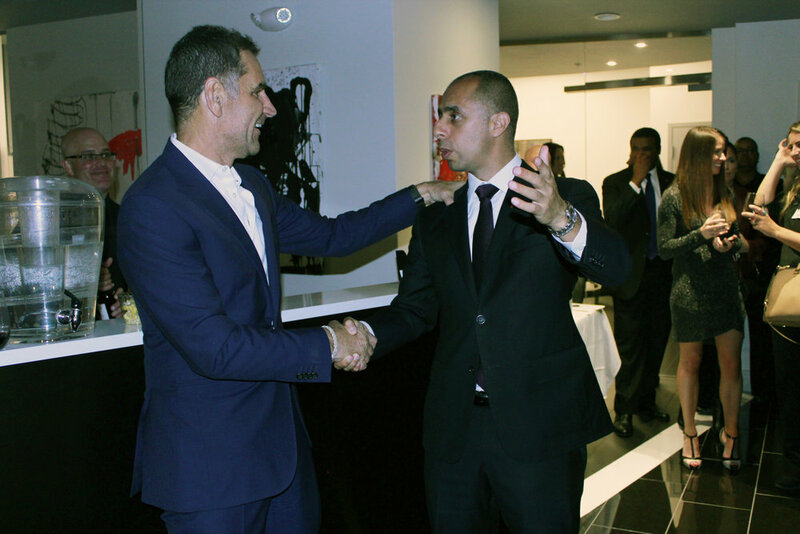 With a brilliant concept and creative financing, Mr. 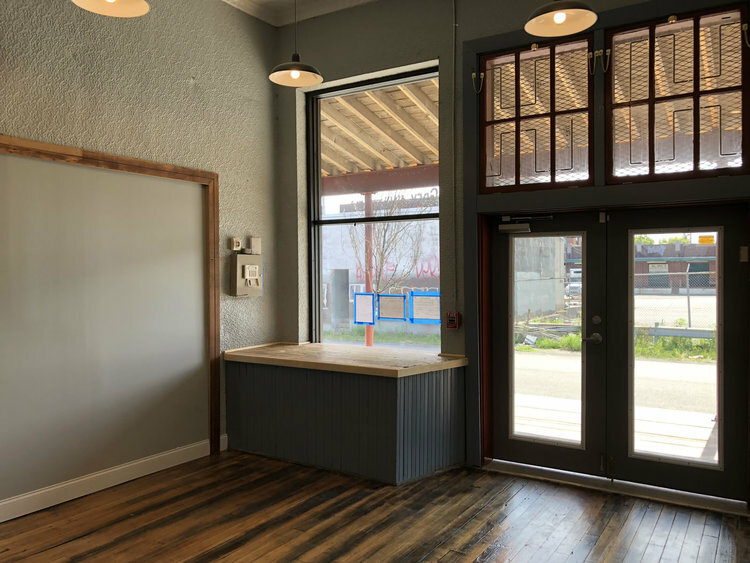 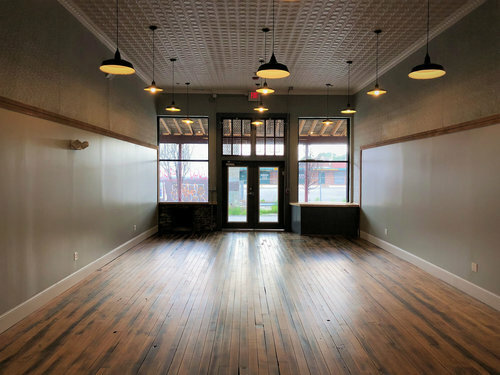 Bright is now able to offer culinary artists, brewers, fabricators and designers beautifully renovated creative spaces, further preserving Providence’s place as The Creative Capital! 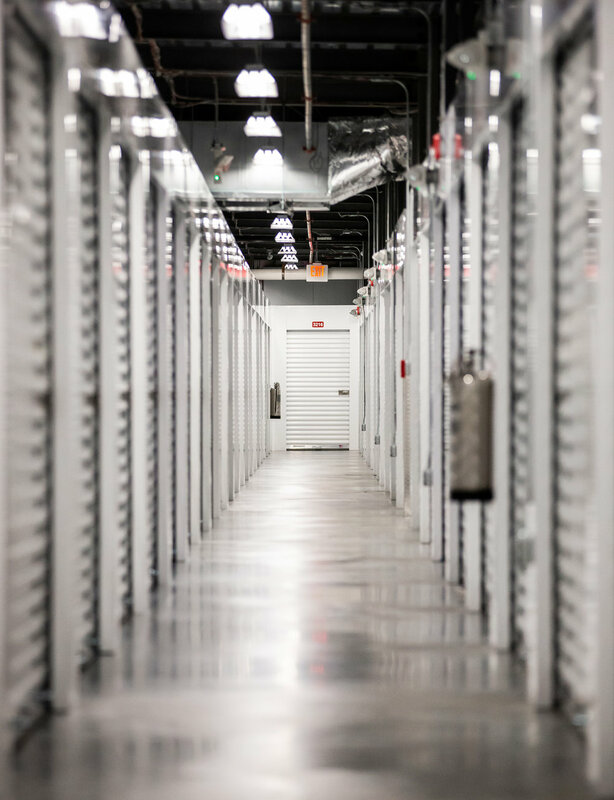 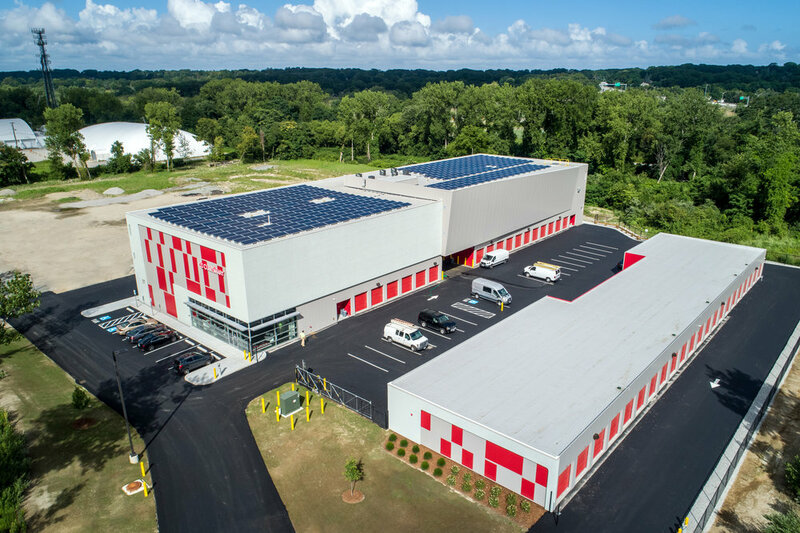 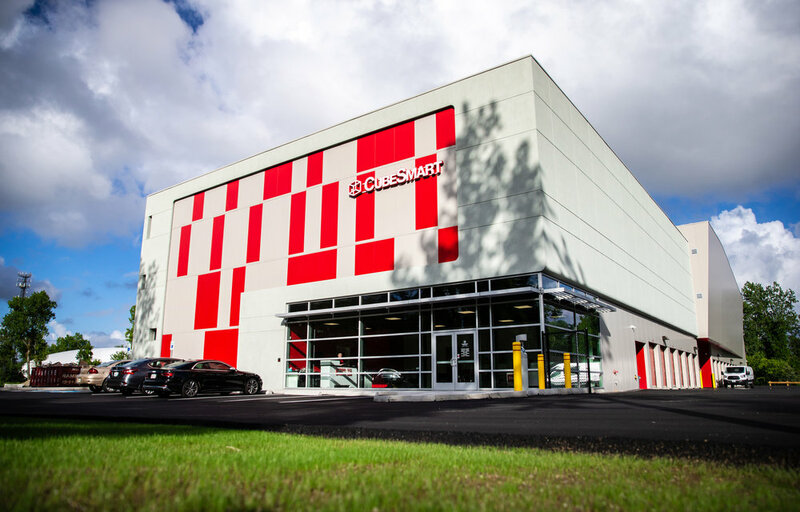 We are excited to announce the Grand Opening of the first CubeSmart in Cranston, RI! 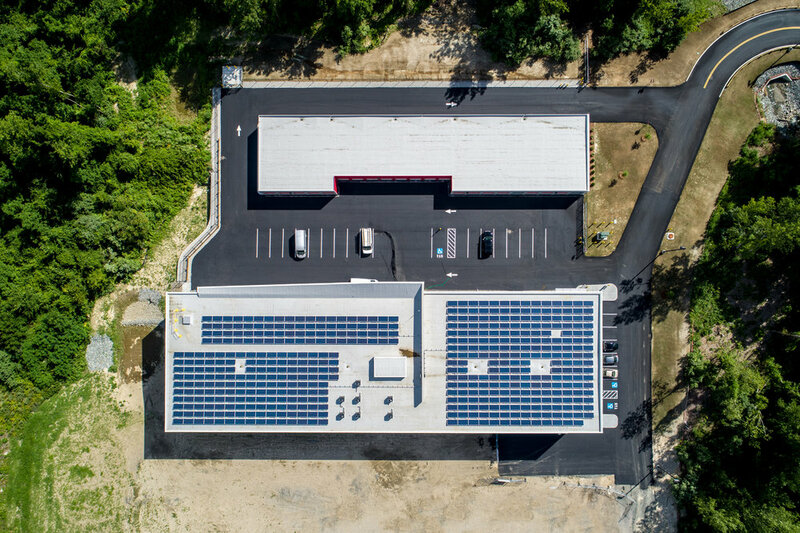 Congratulations to our team and everyone involved in this successful project. 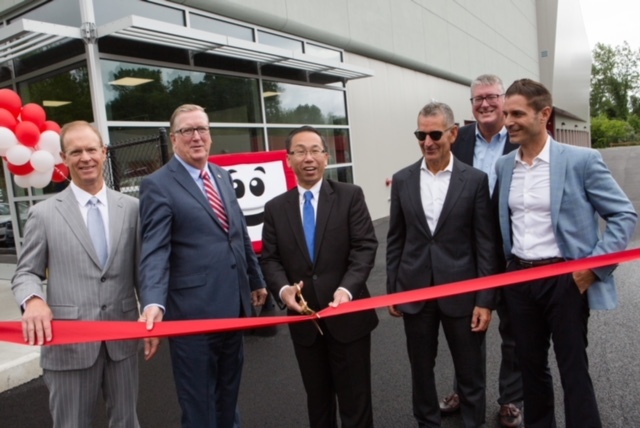 We look forward to seeing how this new facility will promote growth and opportunity in the Cranston community! 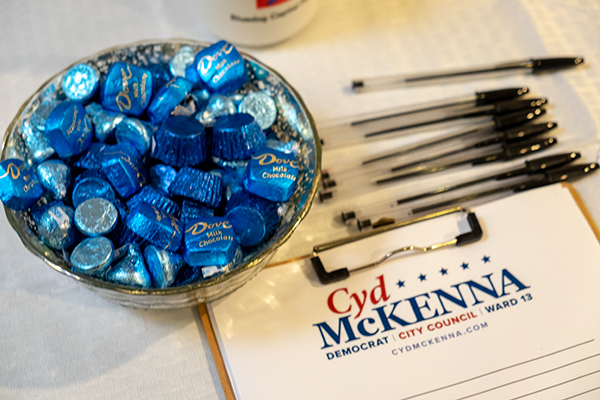 Thank you to everyone who came out to support our good friend, Cyd McKenna and her campaign for Providence City Council! 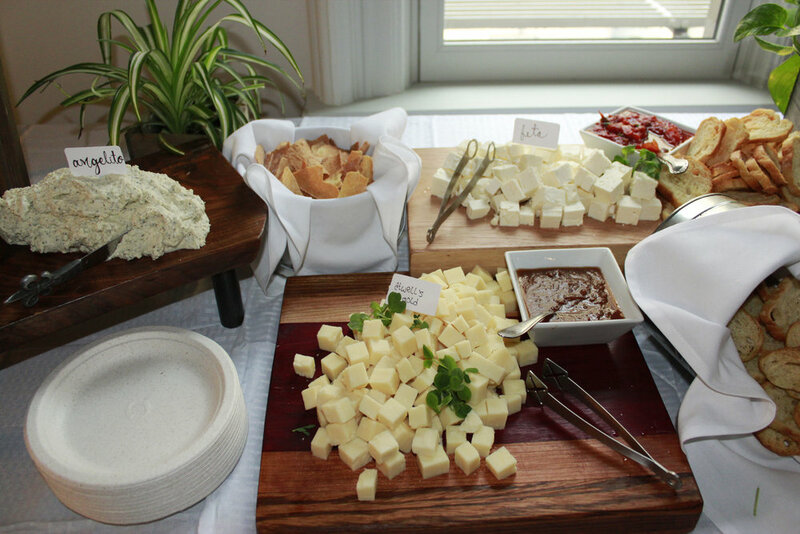 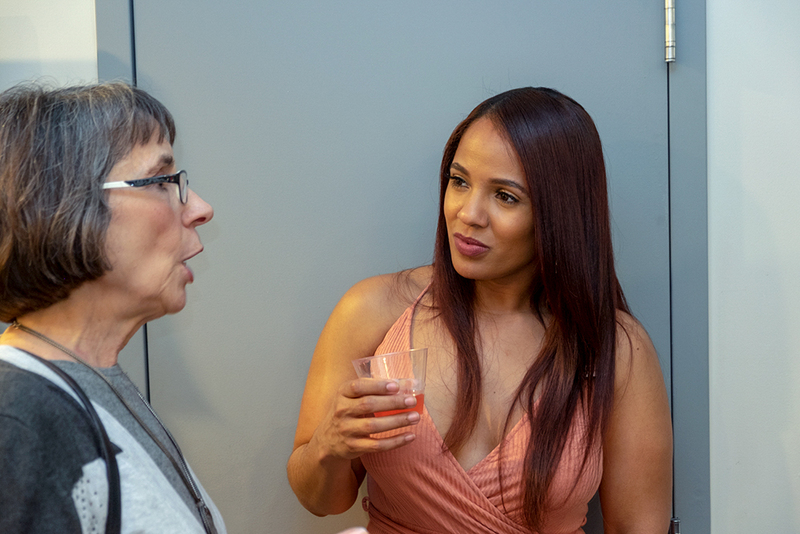 We had a pleasurable time getting to know more about McKenna and her plans for the City of Providence over wine, cocktails, and hors d'oeuvre's! 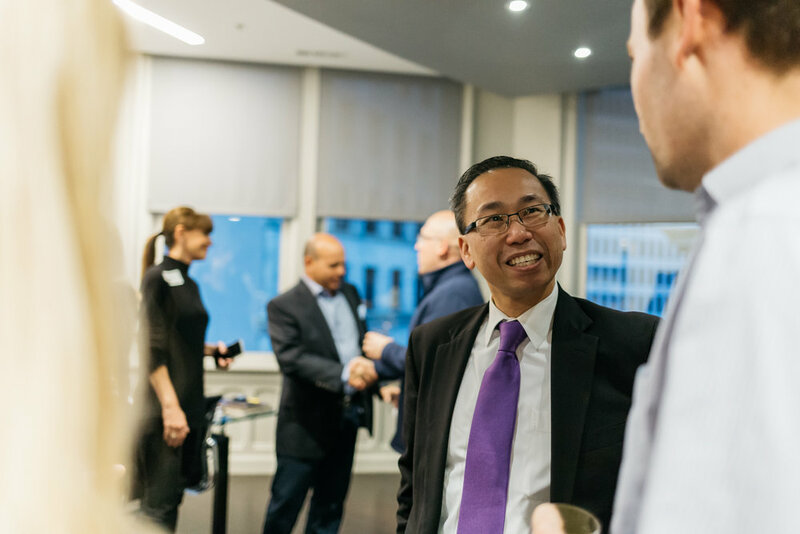 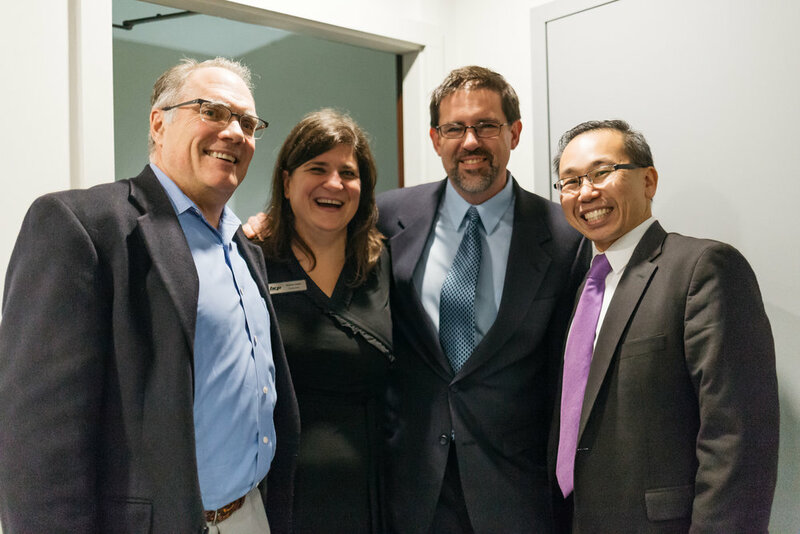 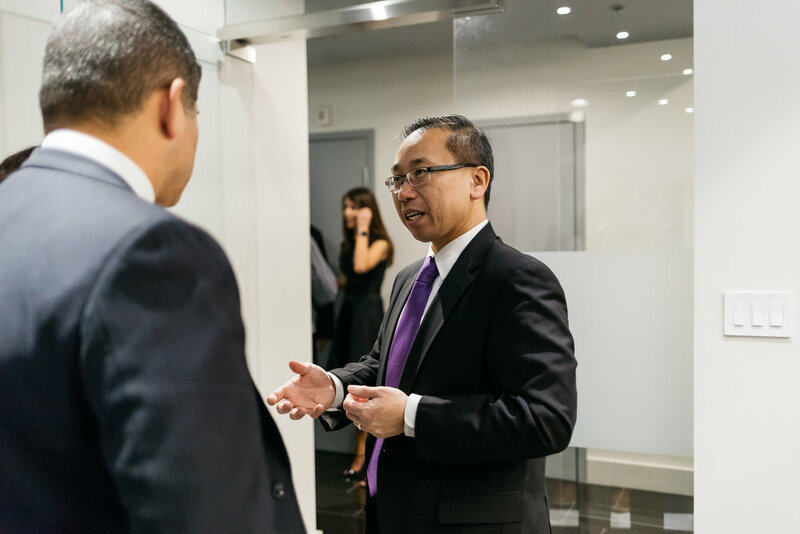 Thank you to everyone who joined us in support of Mayor Allan Fung's campaign for governor. 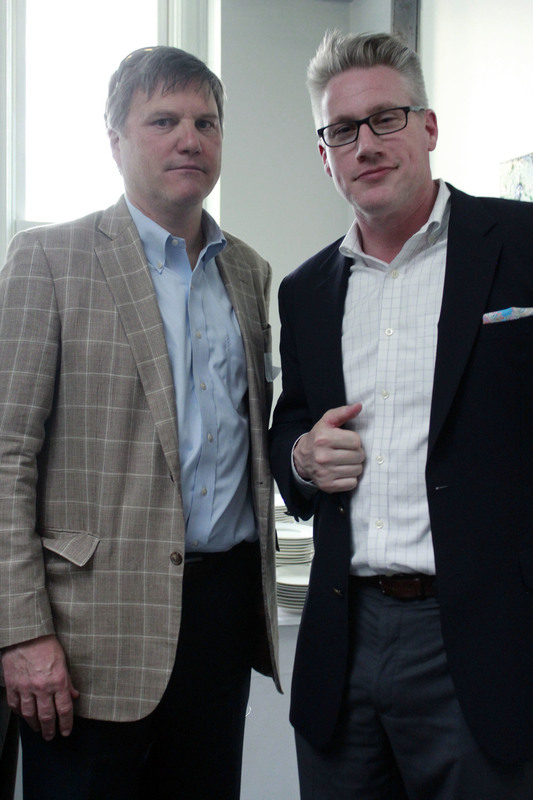 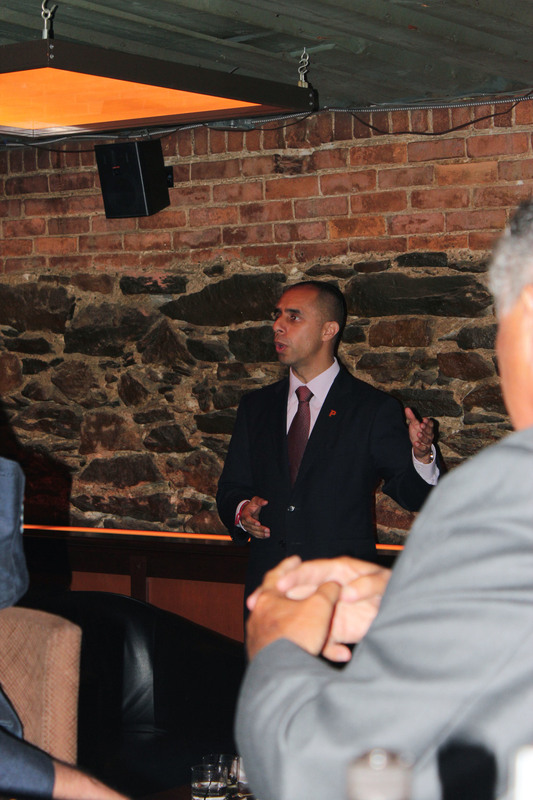 It was a pleasure to learn about Mayor Allan's agenda and goals for the State of Rhode Island. 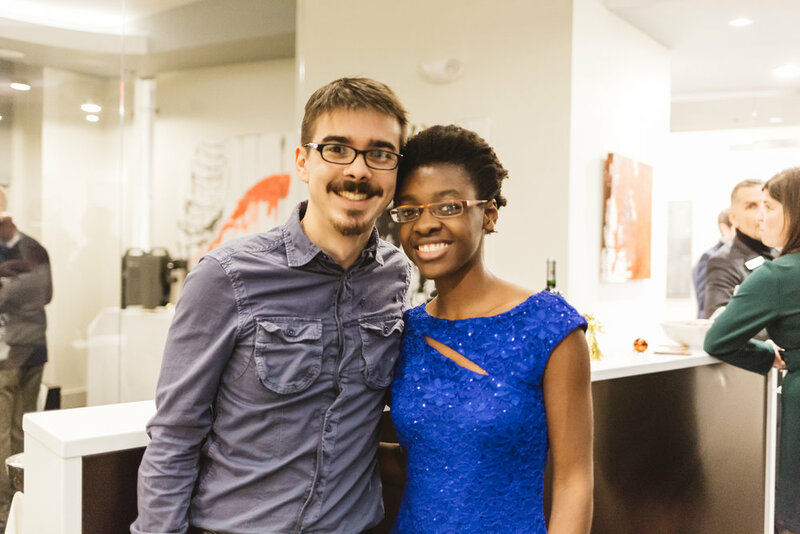 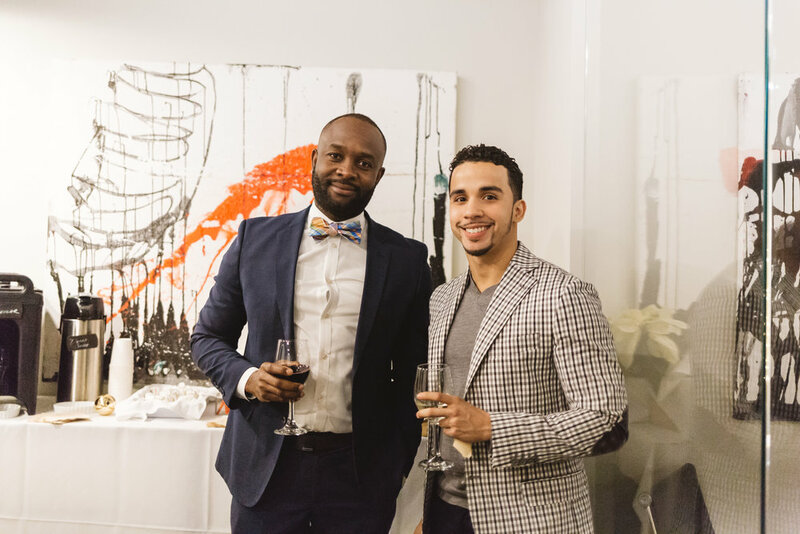 We enjoyed this night of cocktails, hors d'oeuvres, and meaningful conversations! 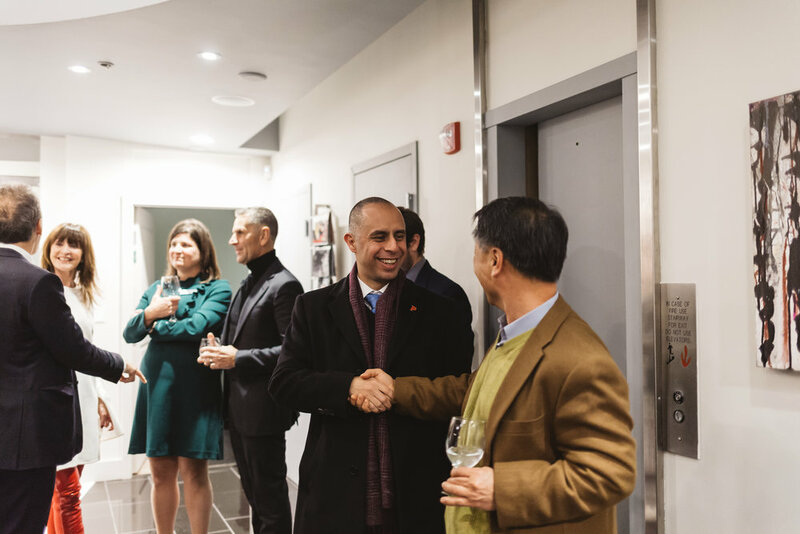 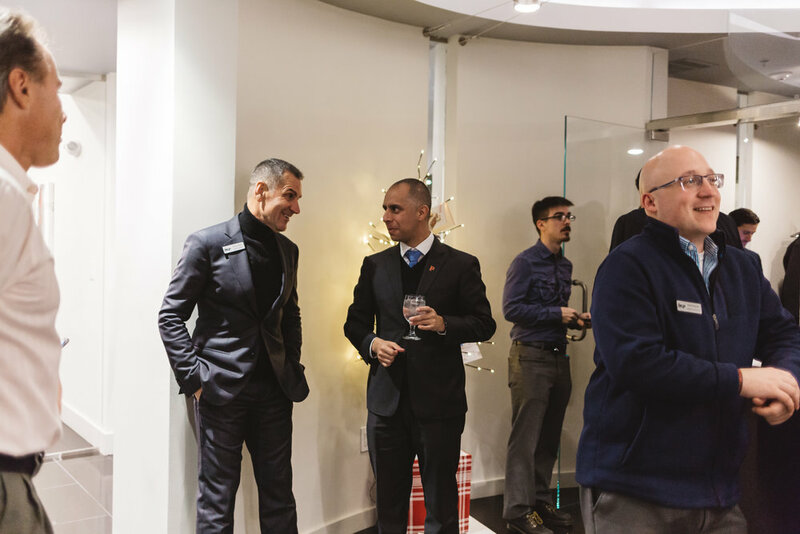 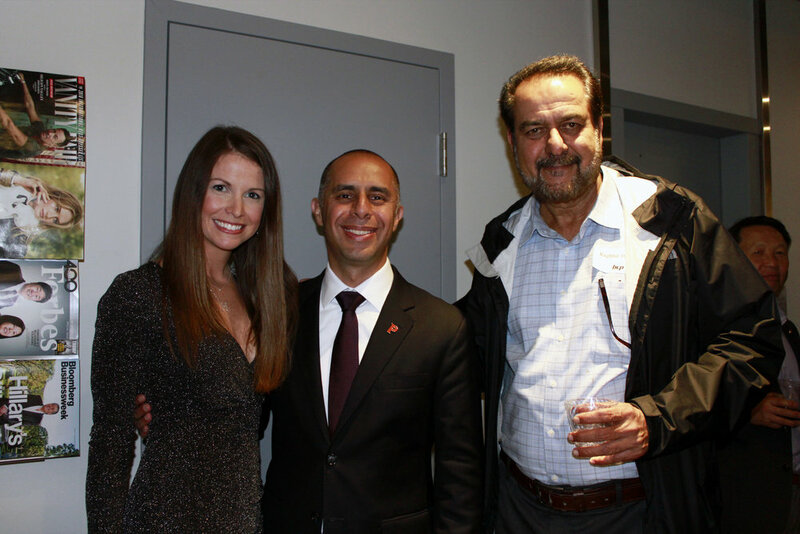 Thank you to our many guests who came out to celebrate the season and support Mayor Jorge Elorza in his continued efforts to enhance our beautiful city of Providence. 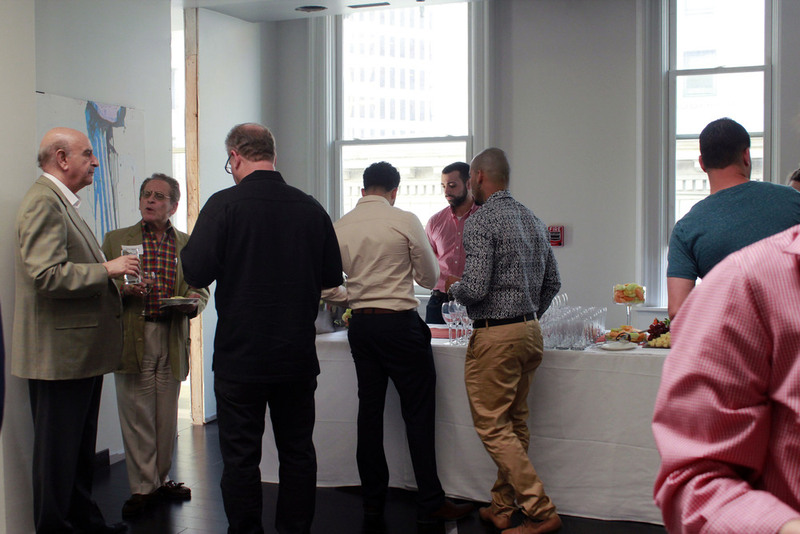 We enjoyed delicious treats and were able to exchange meaningful thoughts on what we envision for the future. 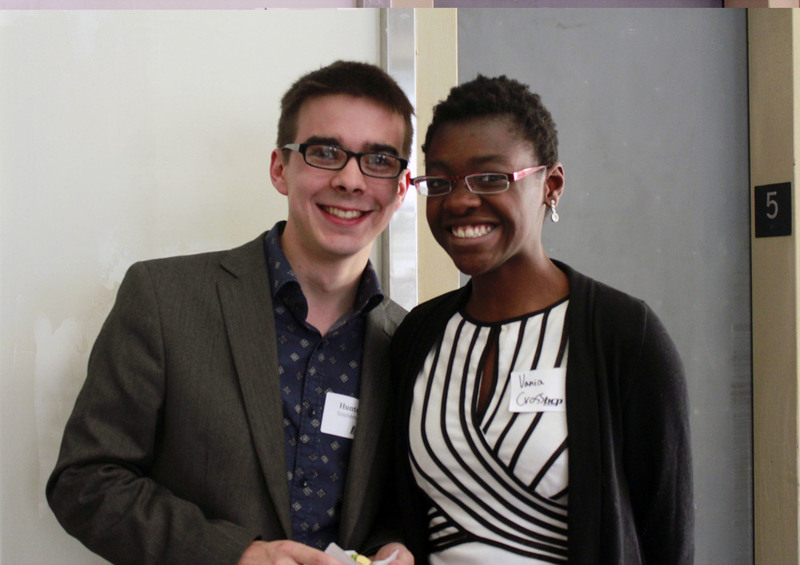 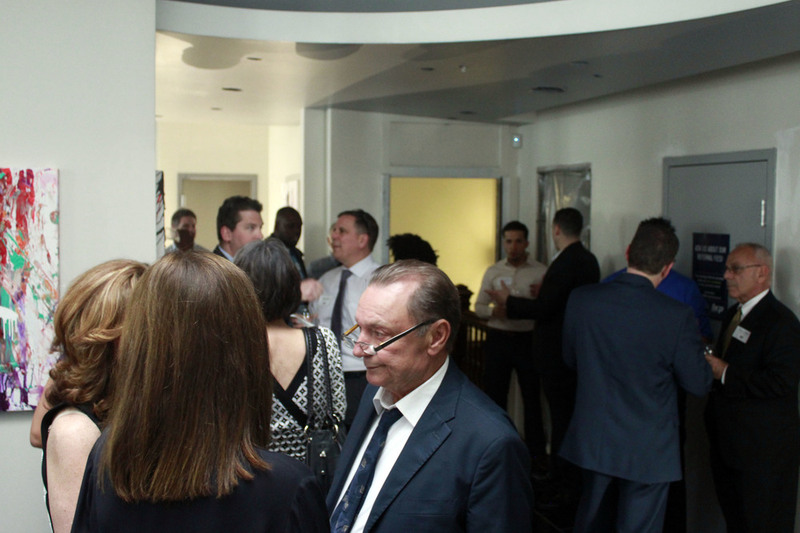 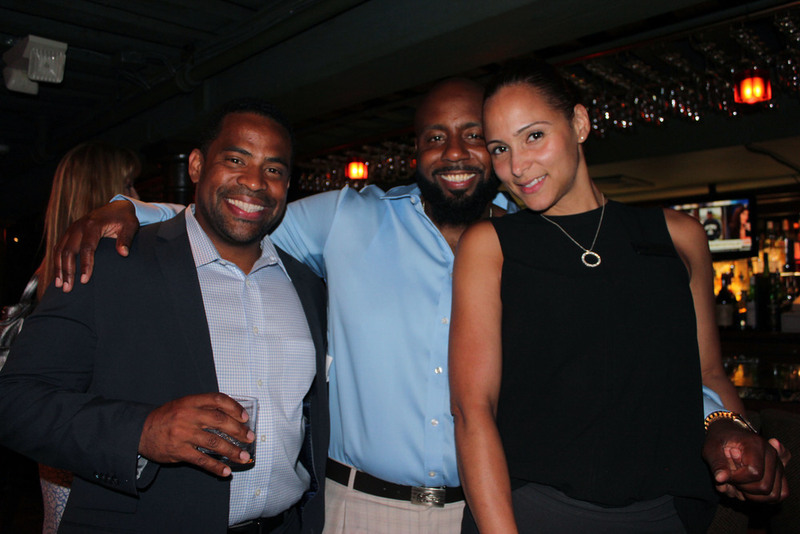 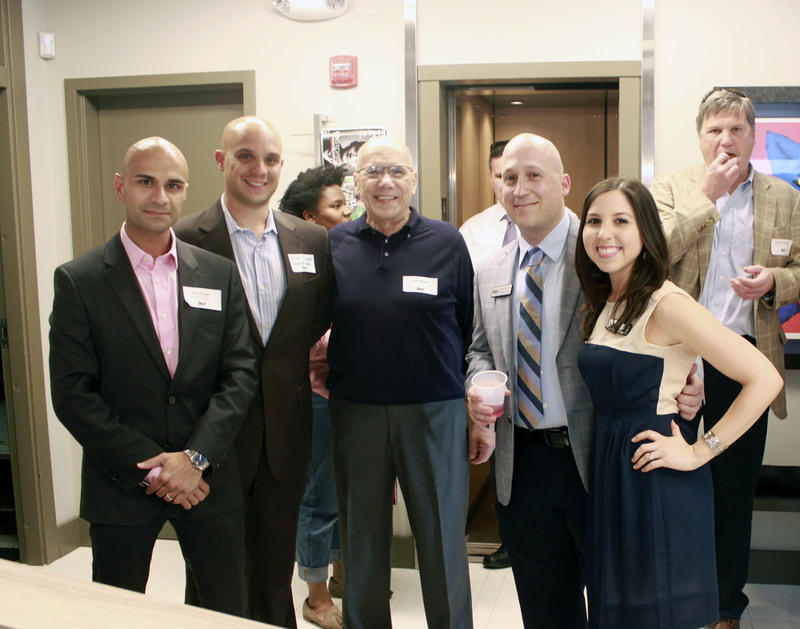 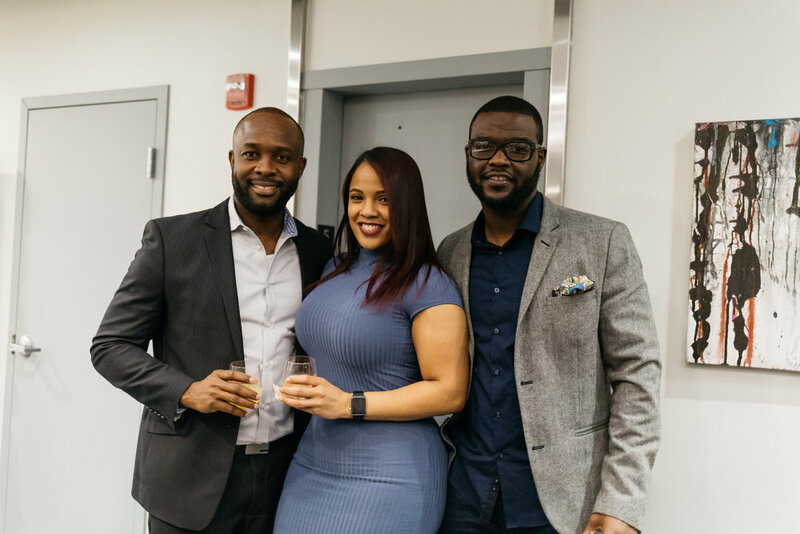 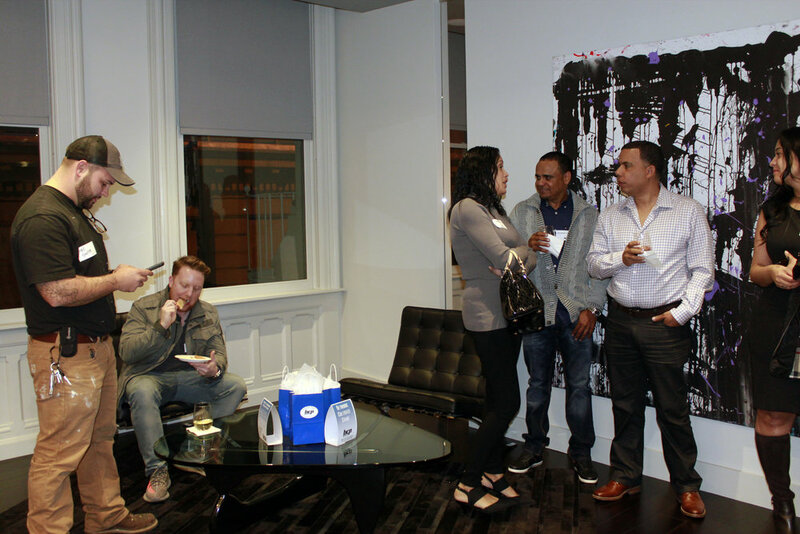 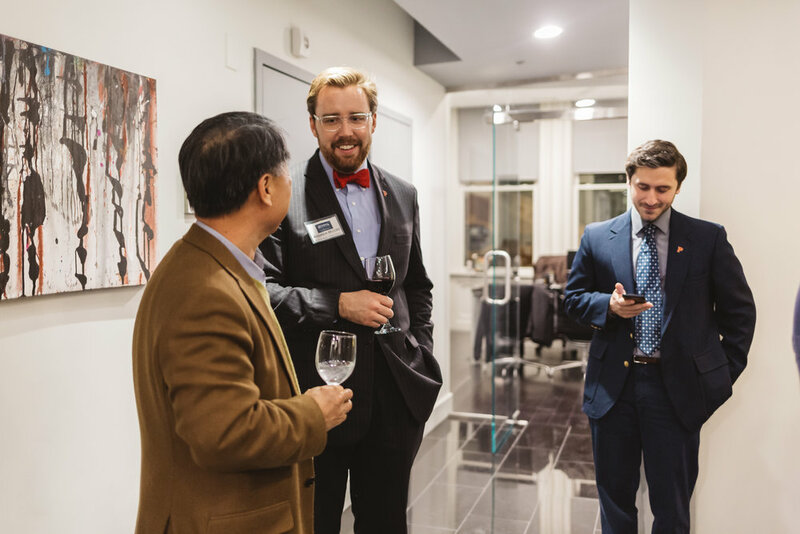 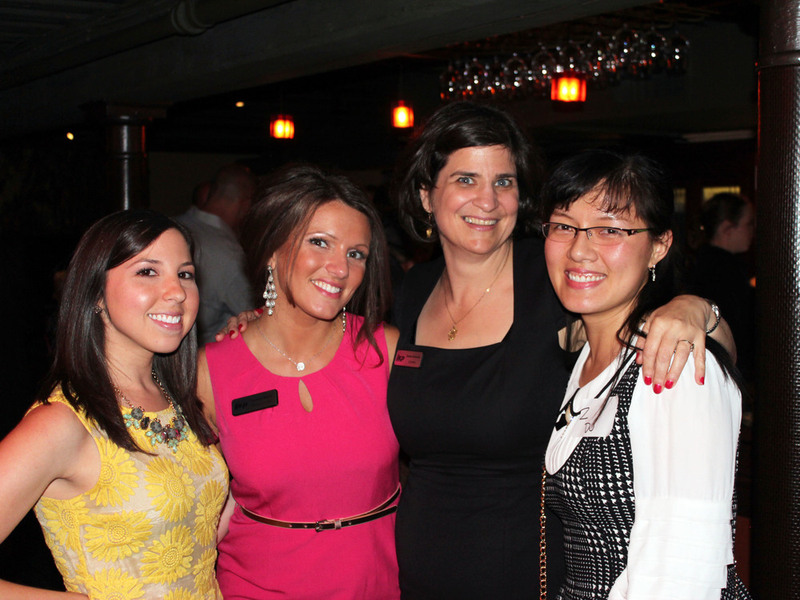 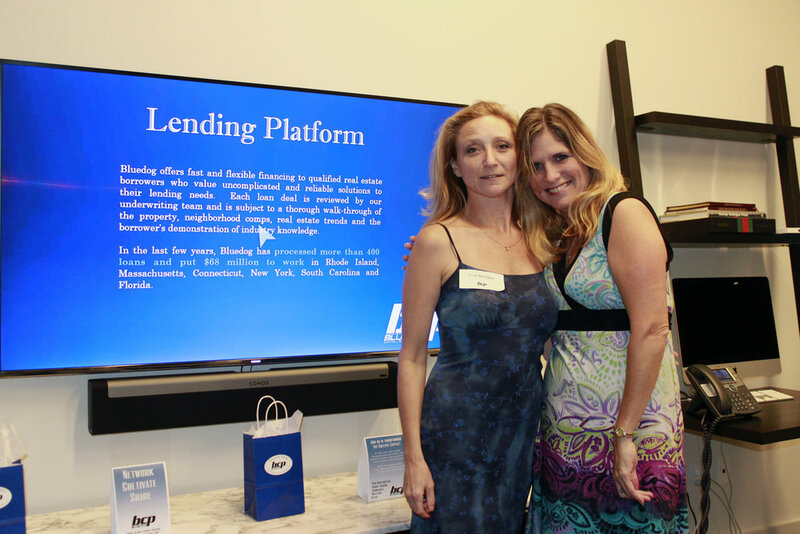 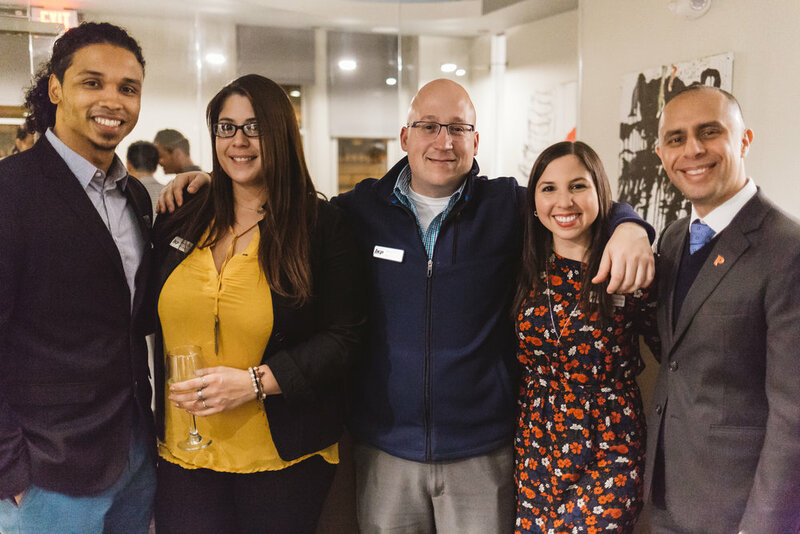 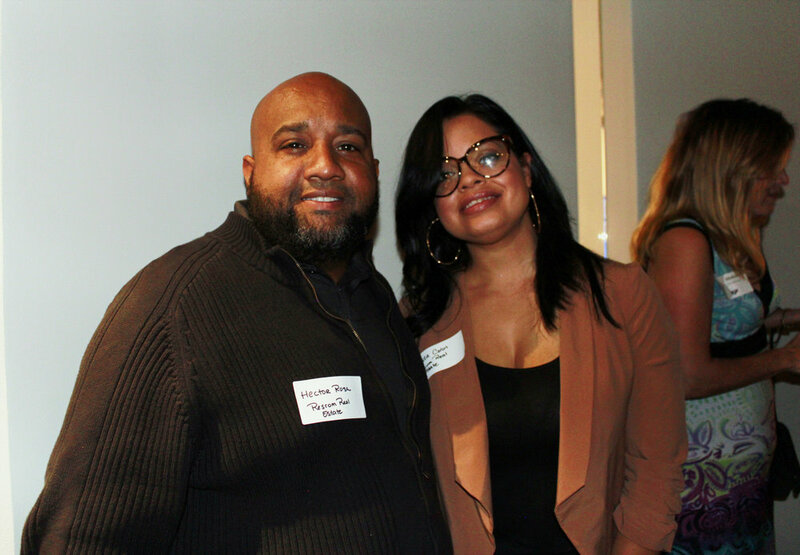 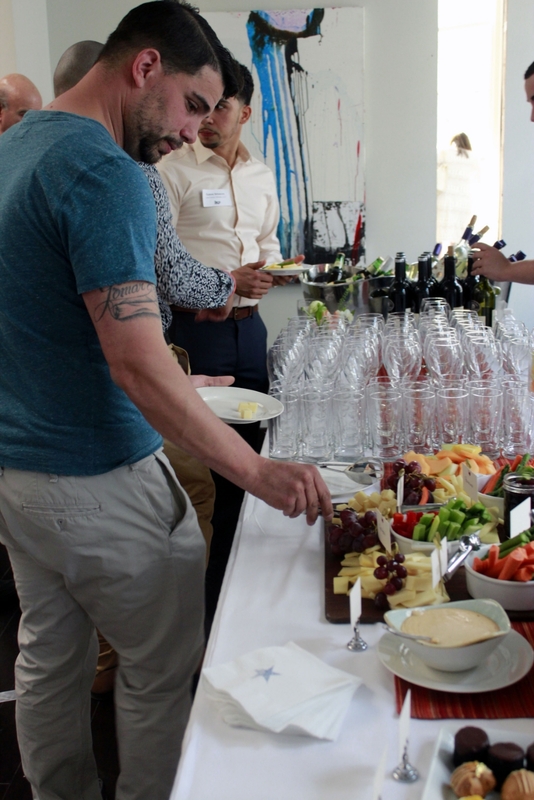 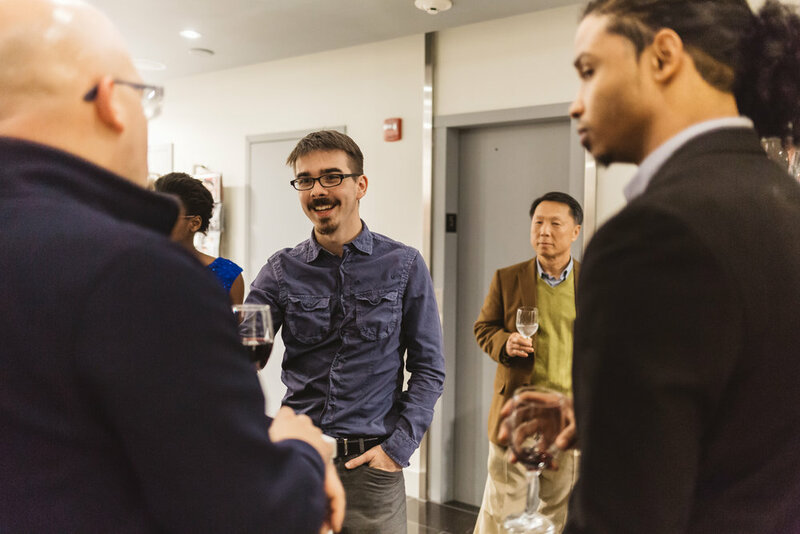 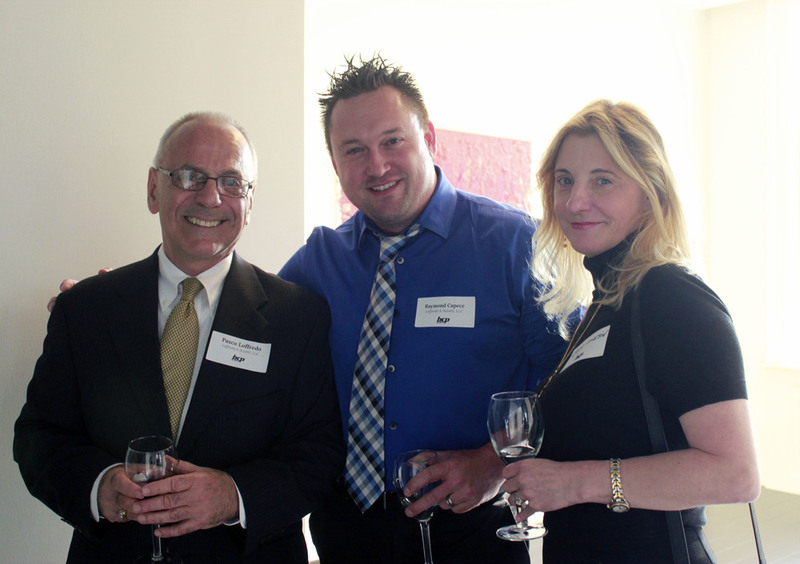 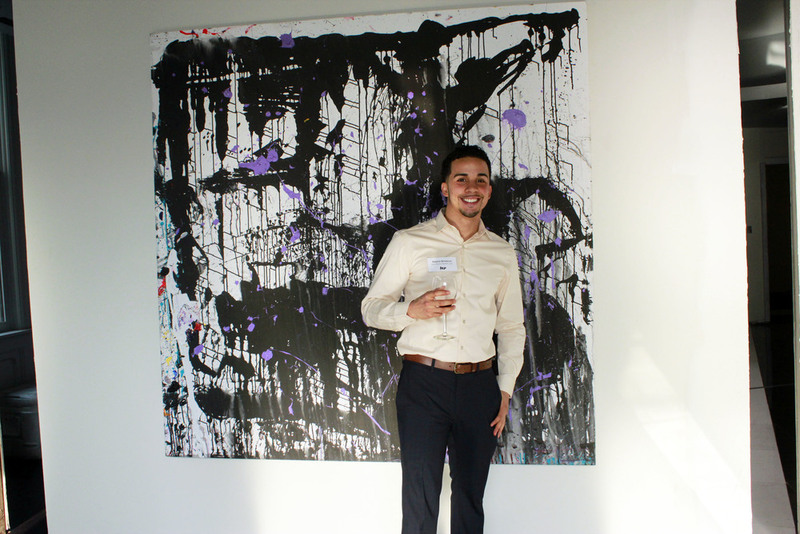 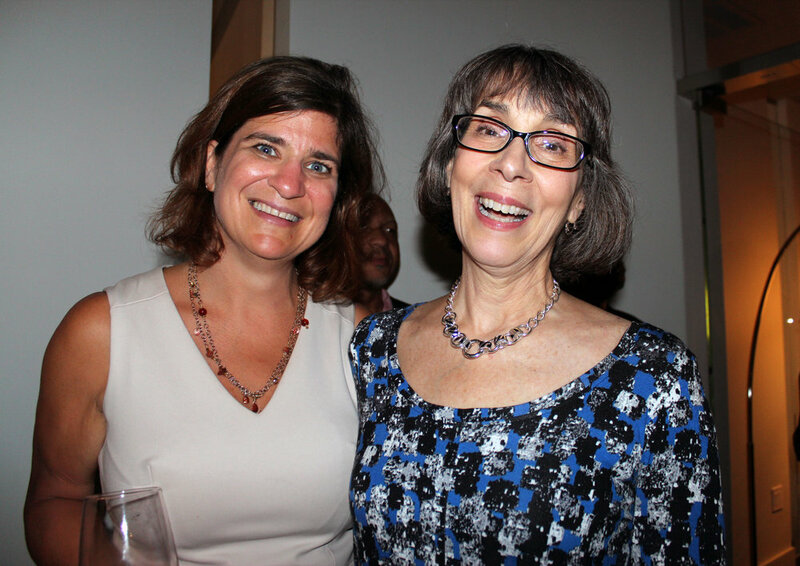 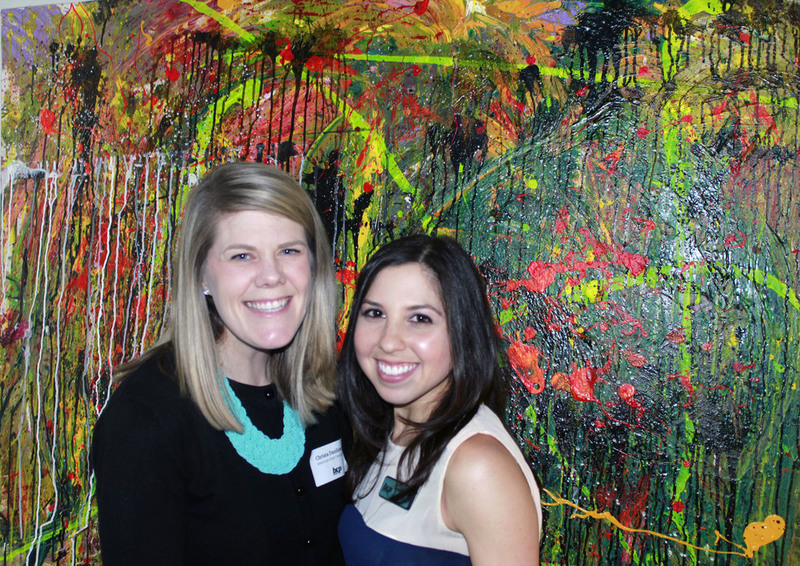 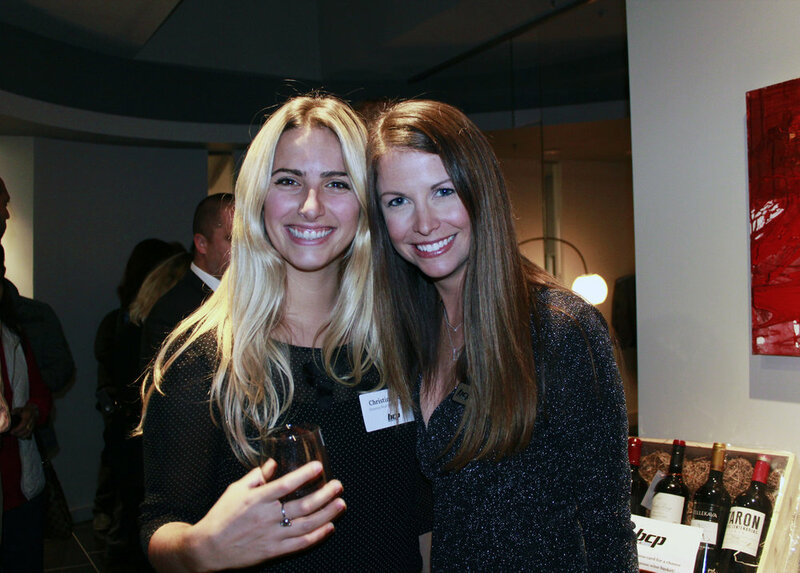 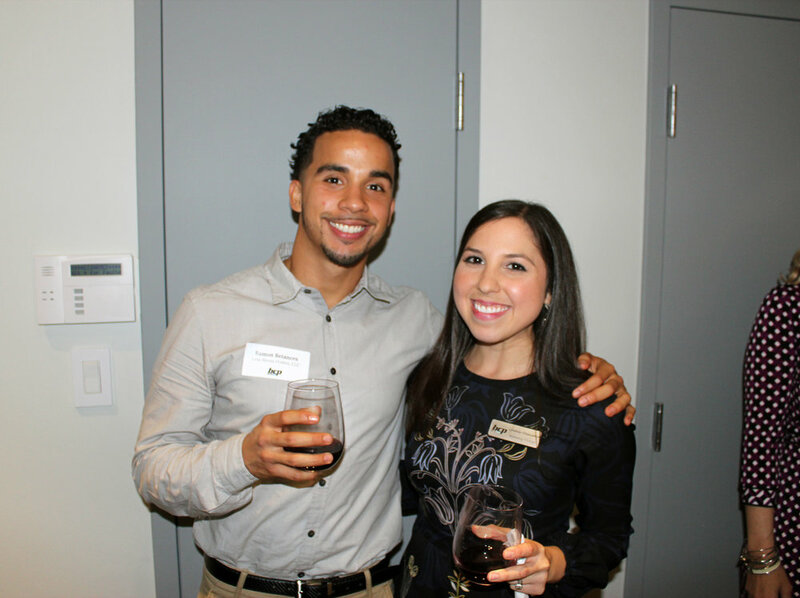 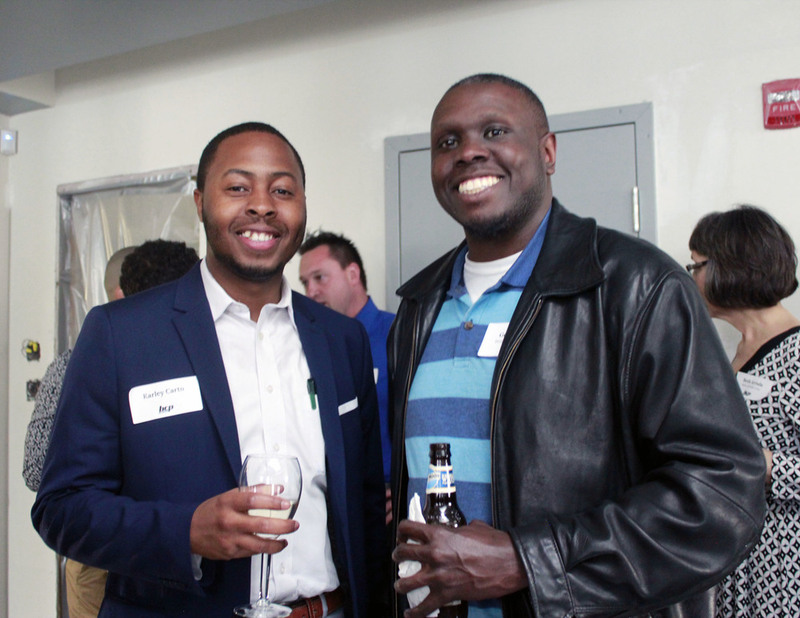 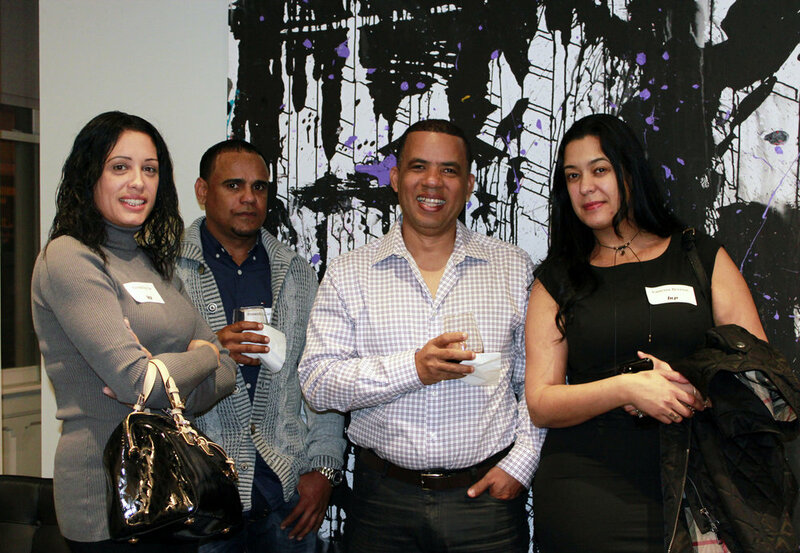 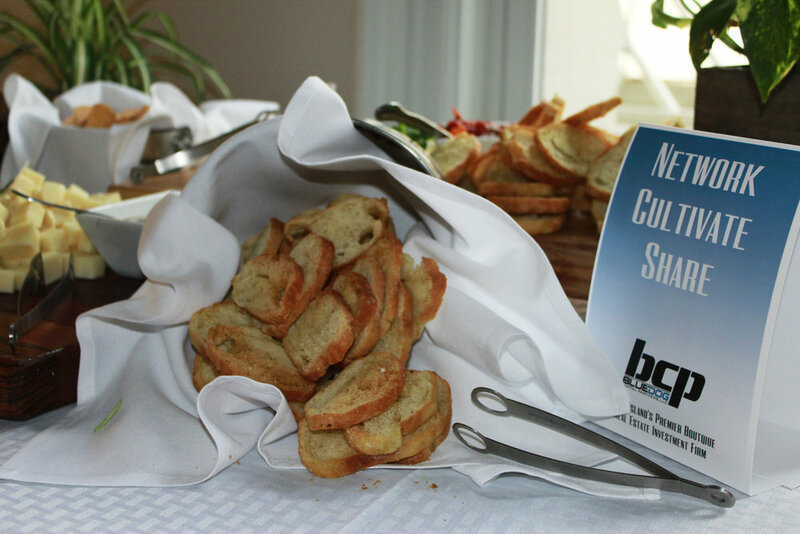 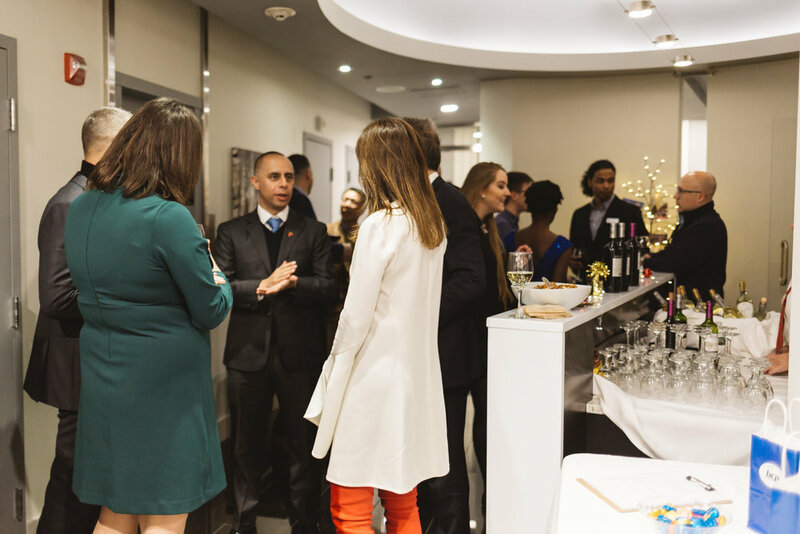 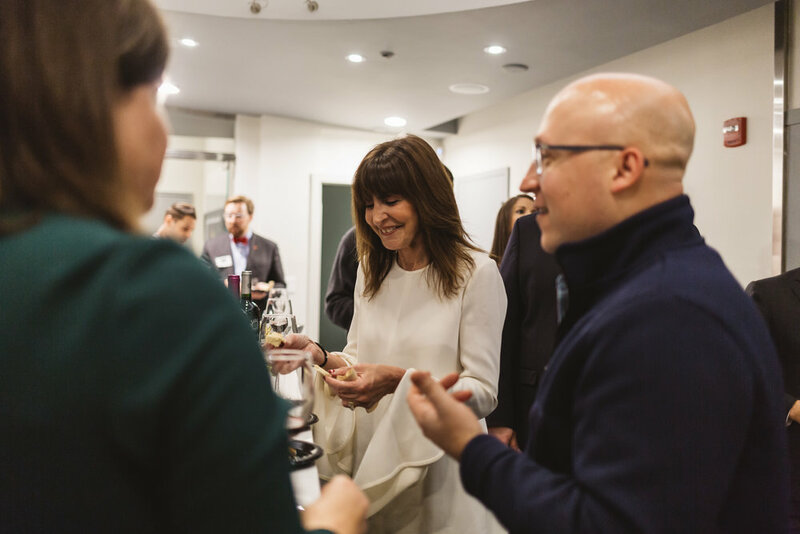 Our Spring Soiree was a wonderful evening full of great conversation and business building. 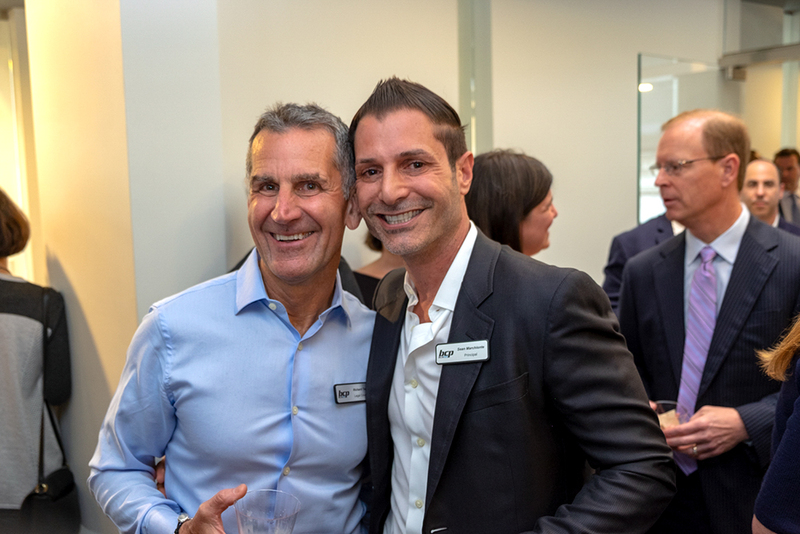 We are once again humbled by all of our clients' and guests' continued support and look forward to celebrating everyone's success as the year unfolds. 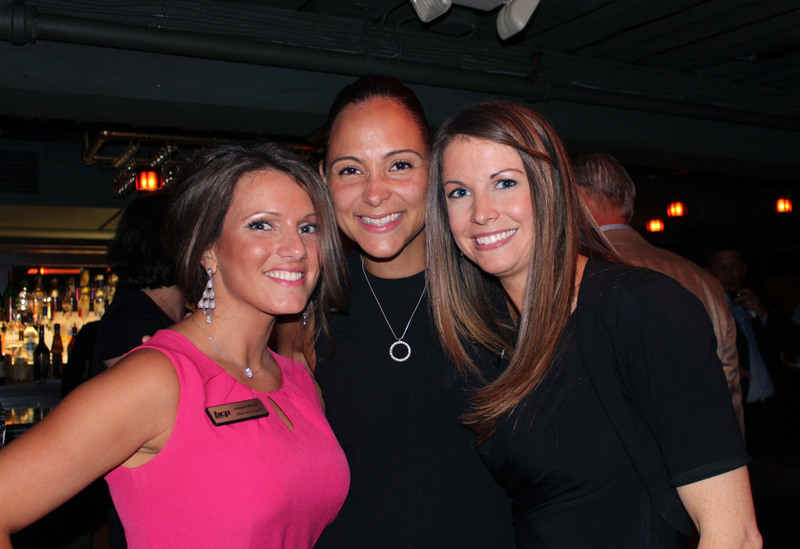 We invite you to join us at our next event in October! 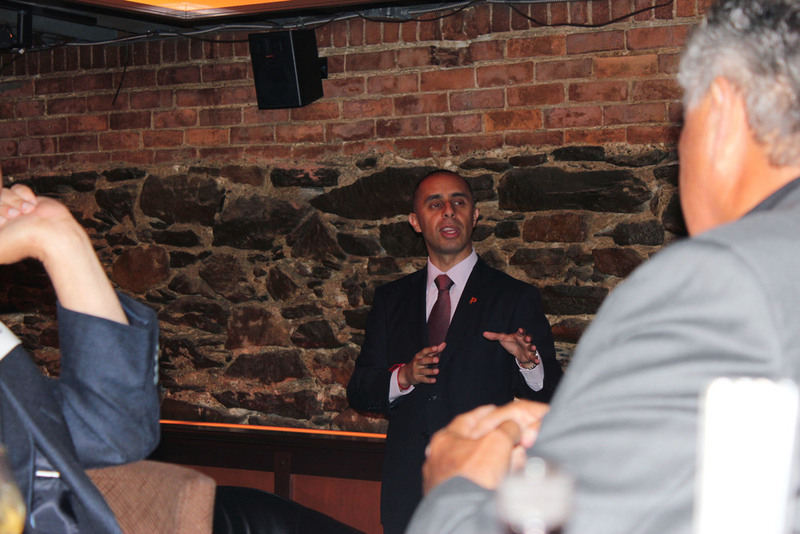 What an amazing turnout in support of Mayor Jorge Elorza! 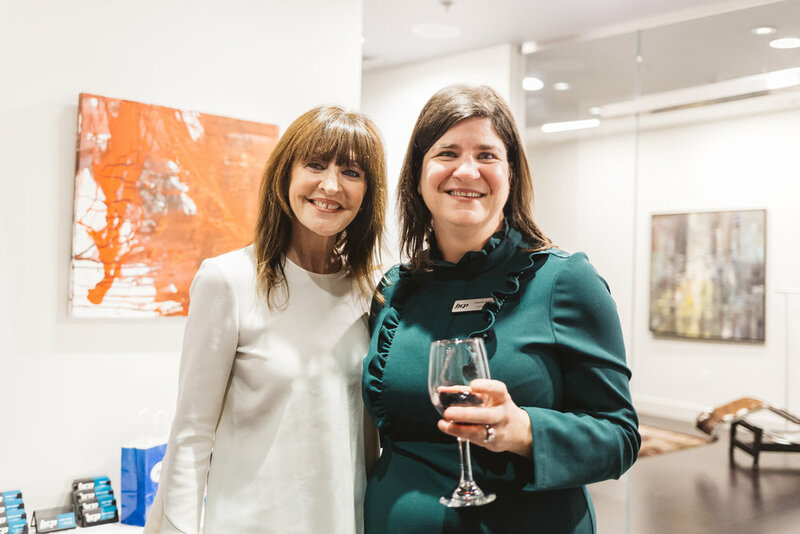 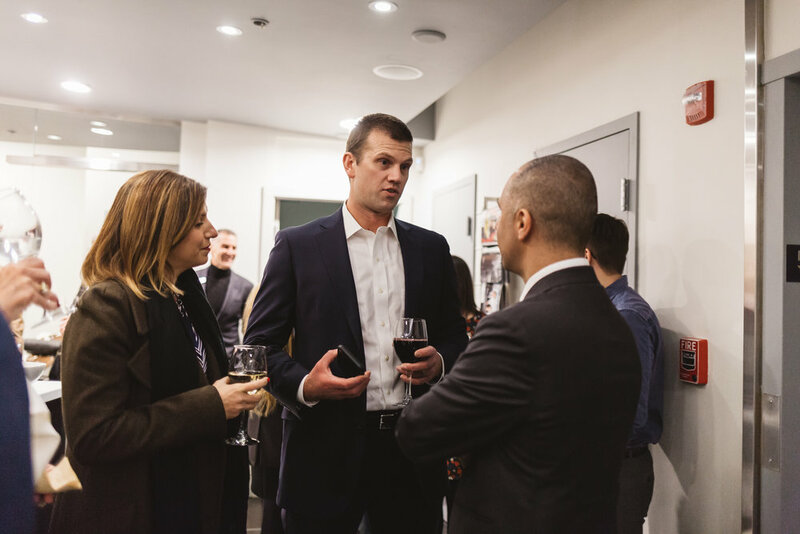 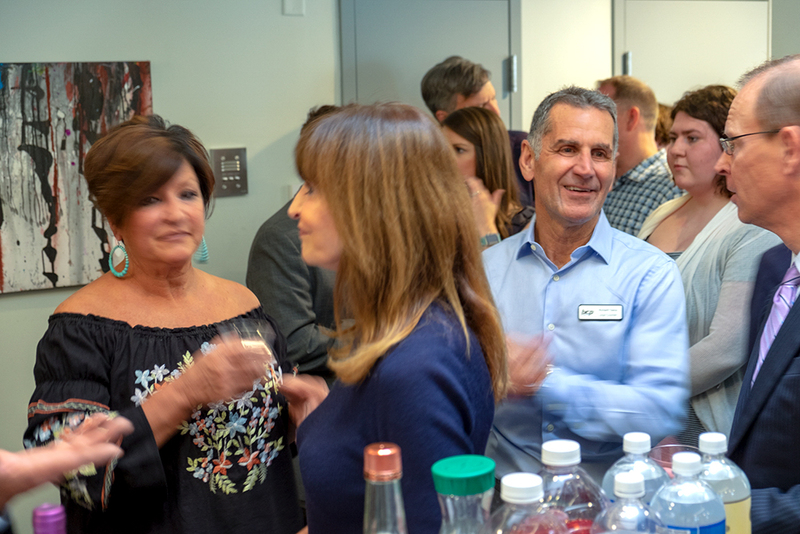 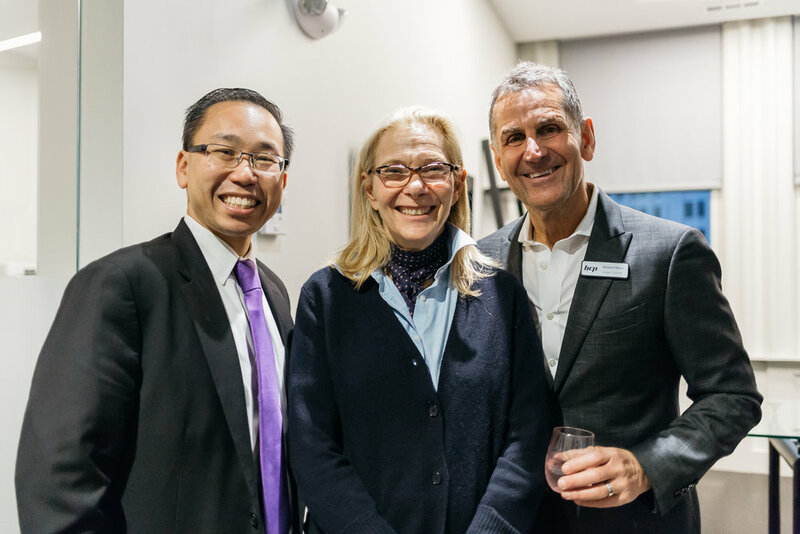 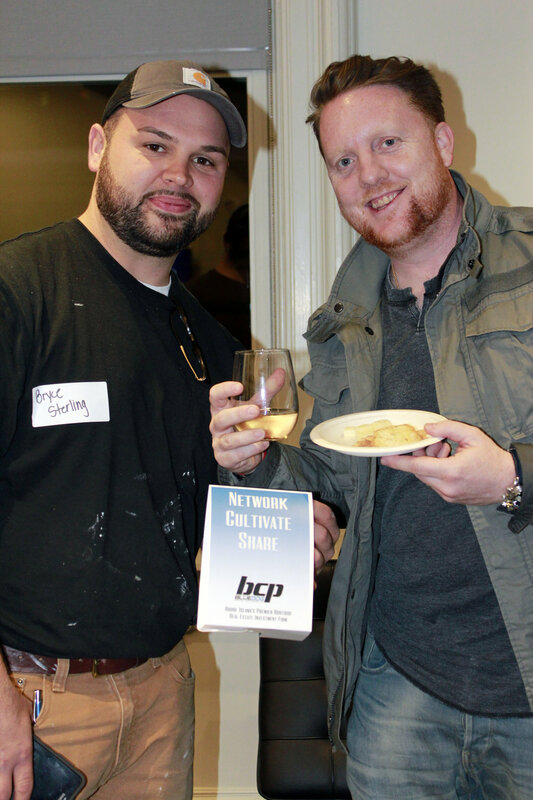 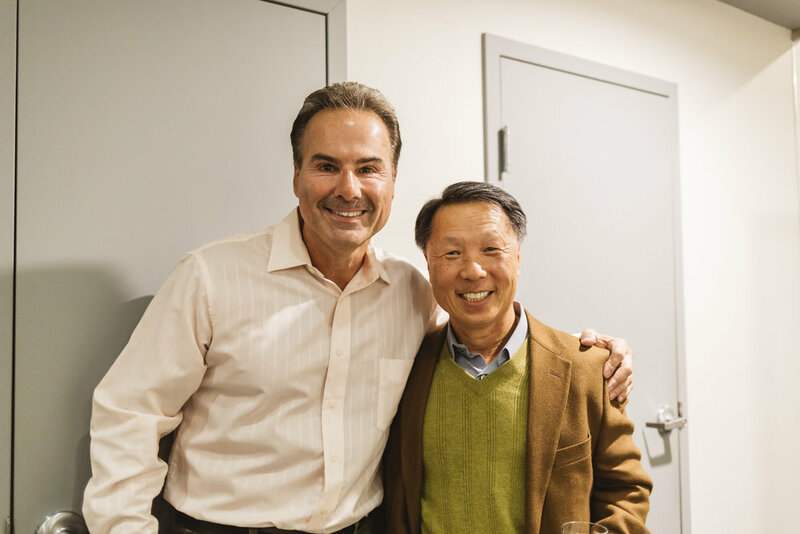 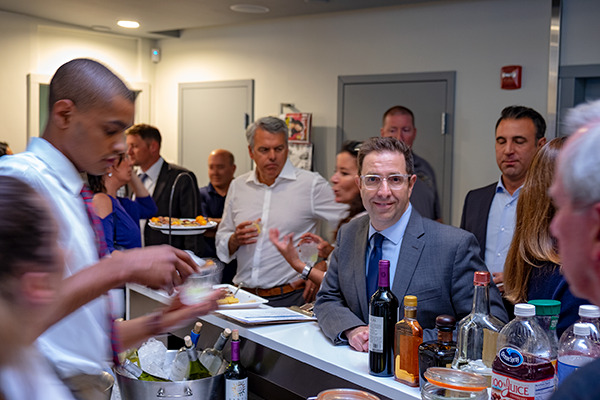 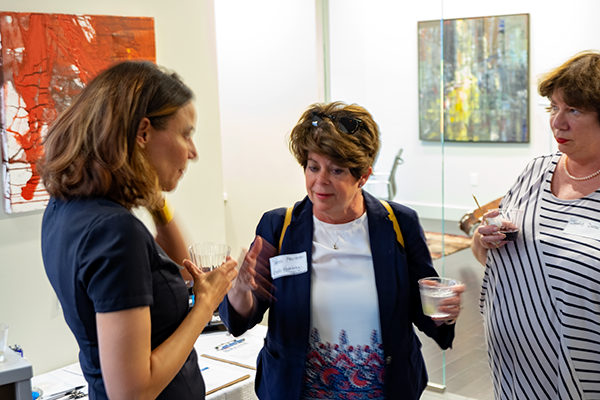 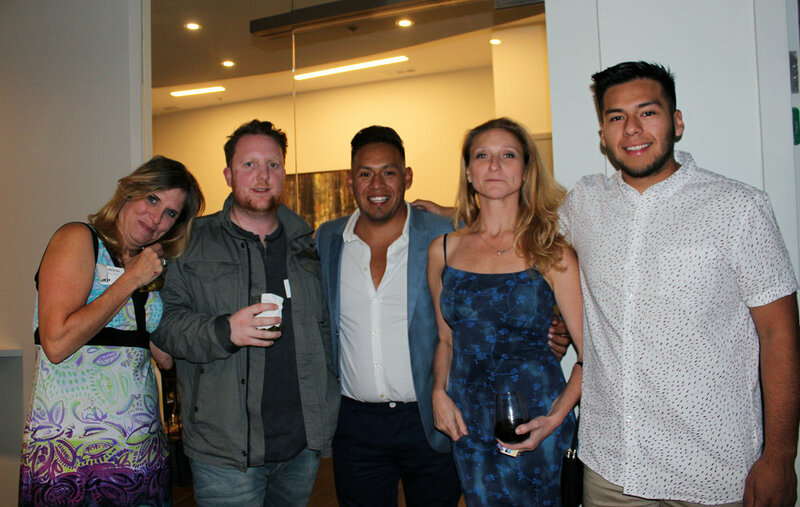 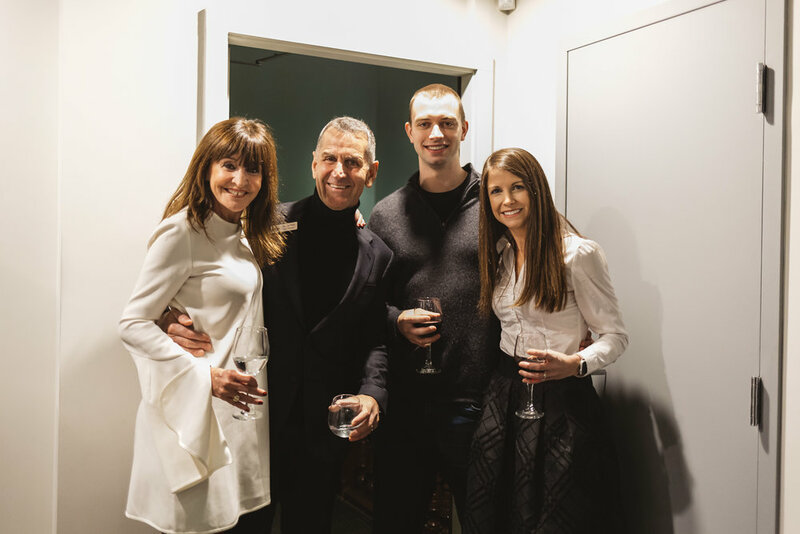 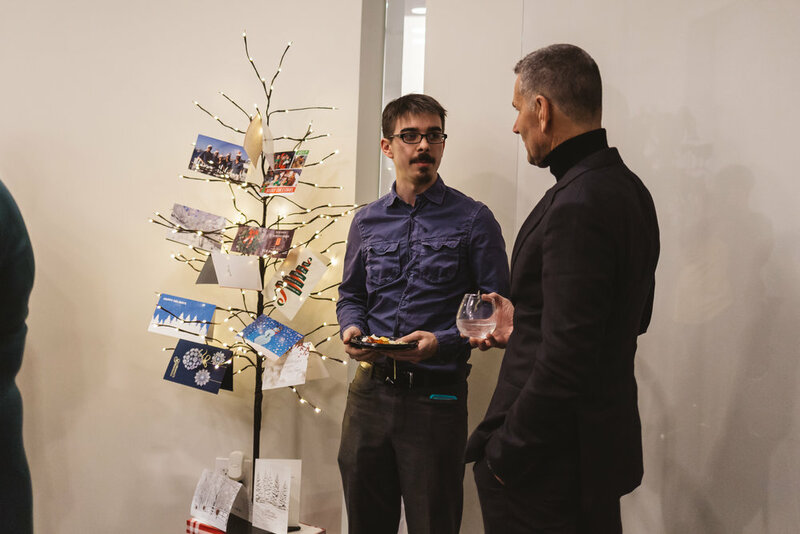 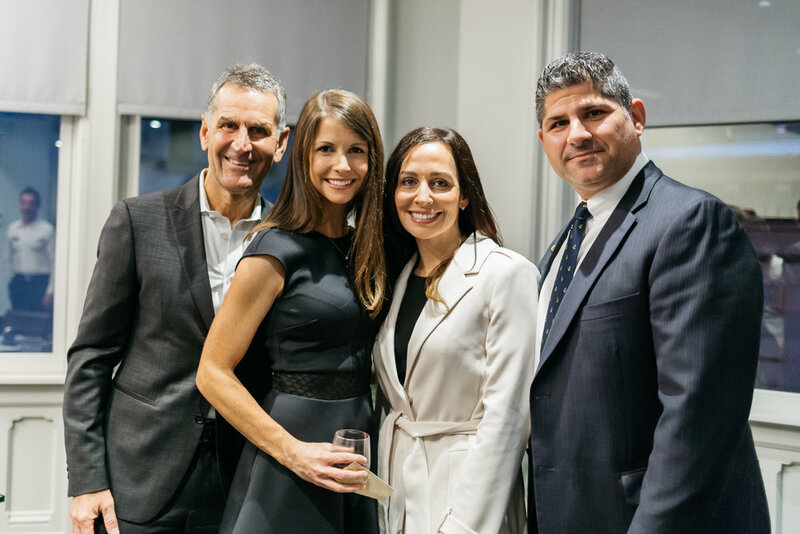 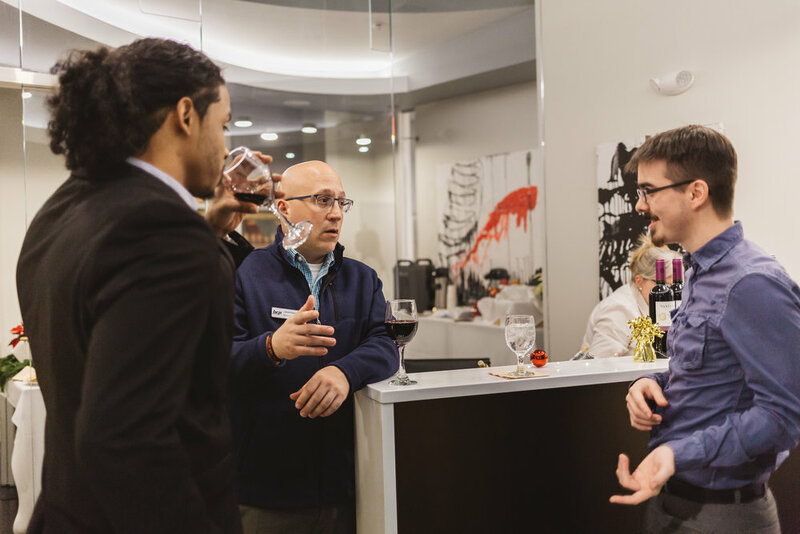 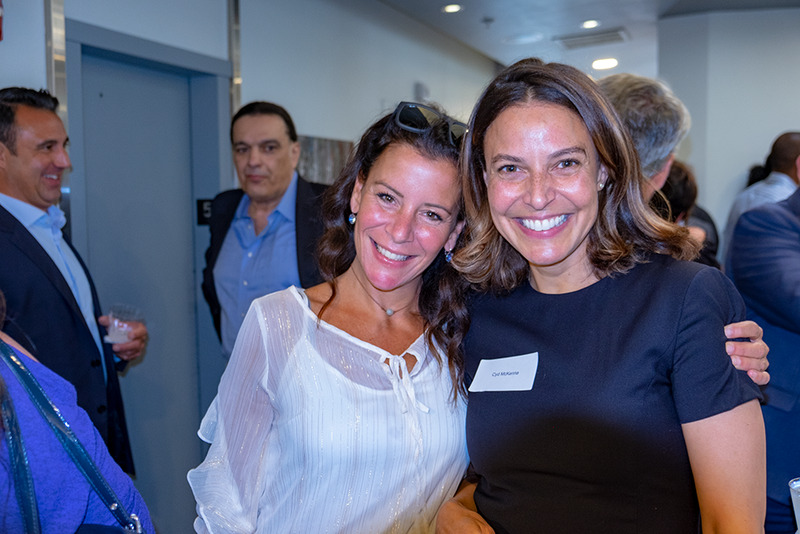 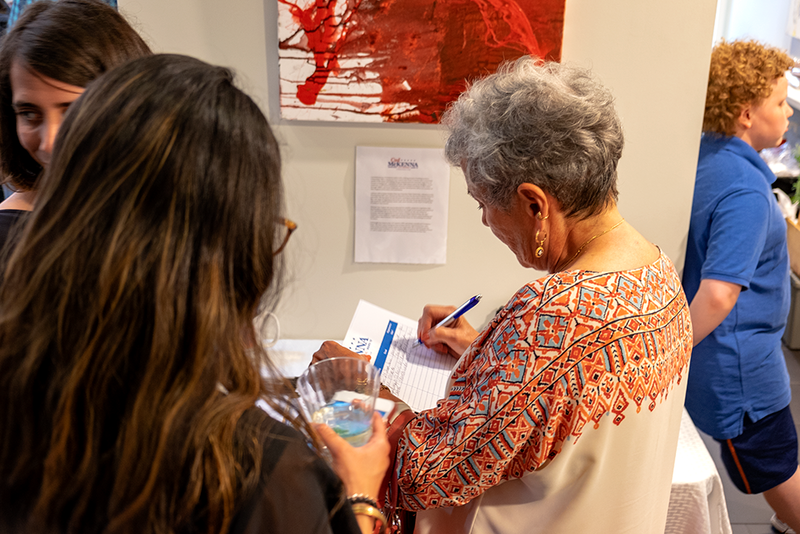 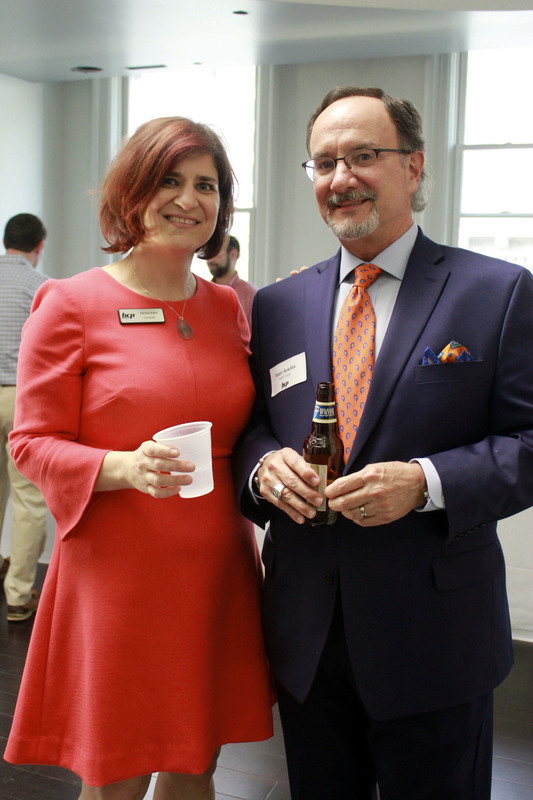 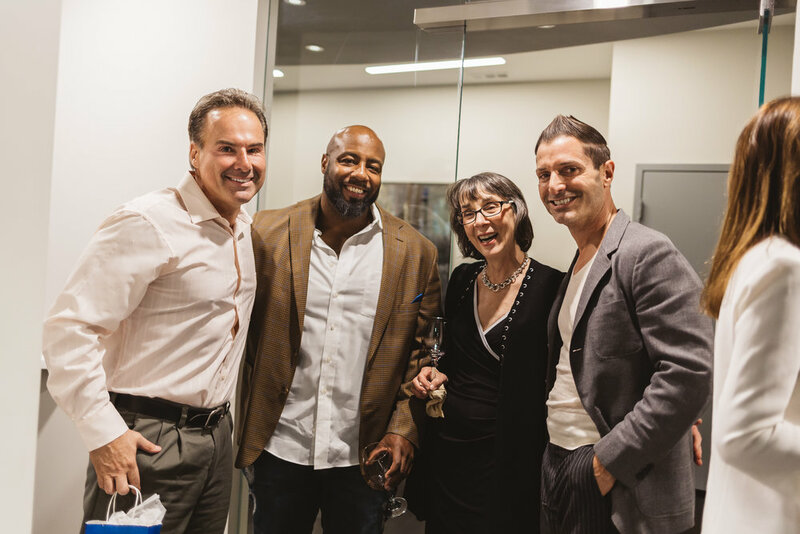 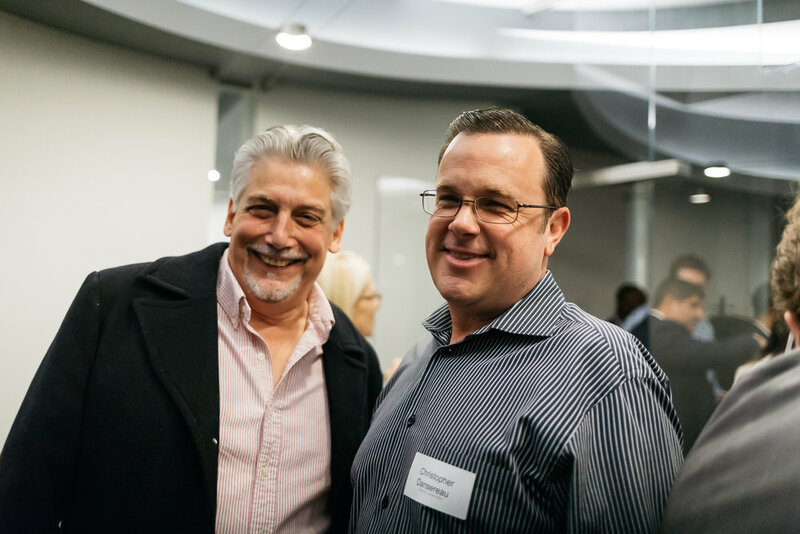 Bluedog Capital Partners had a wonderful time with all of our guests celebrating The Creative Capital and enjoyed networking with other members of our community. 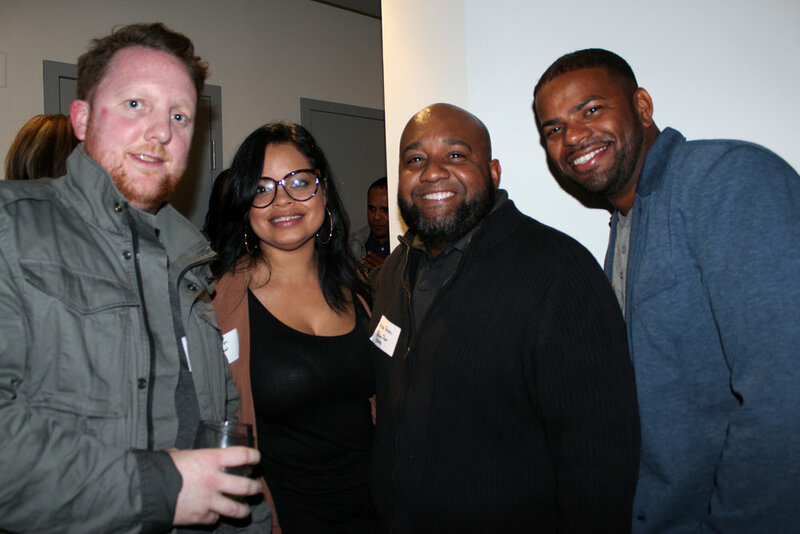 We're proud to work with so many inspiring people who have helped to create jobs and add value to their neighborhoods. 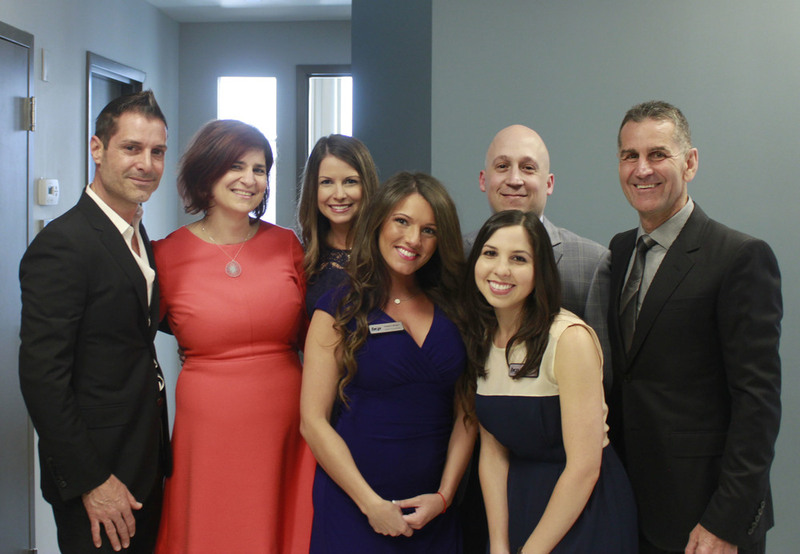 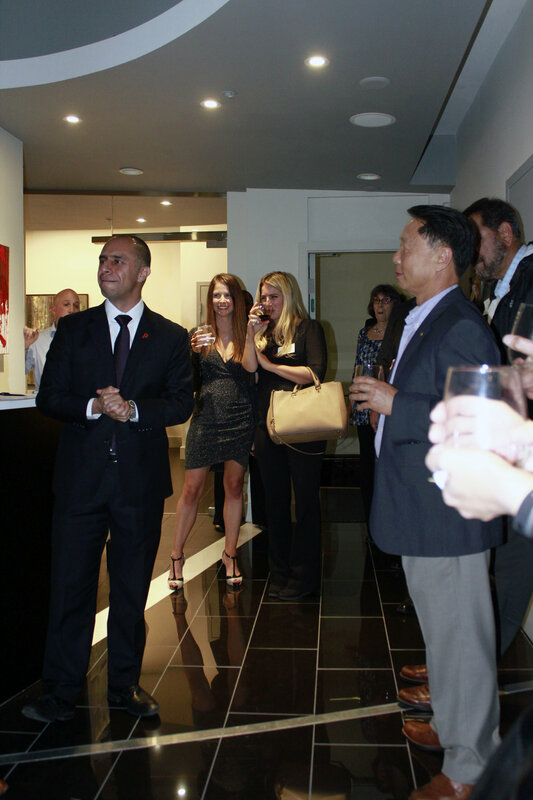 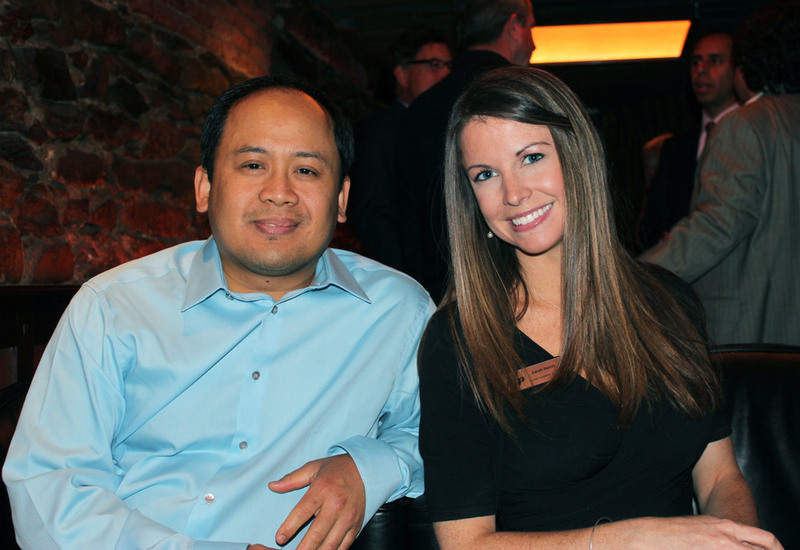 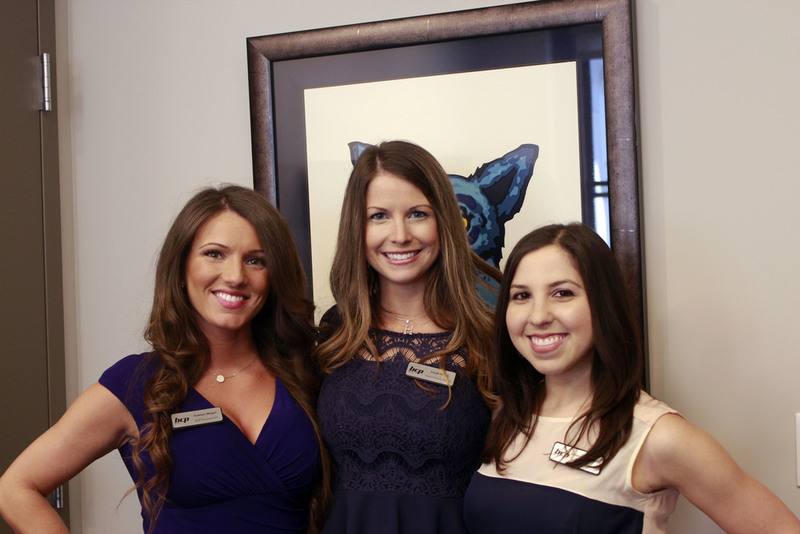 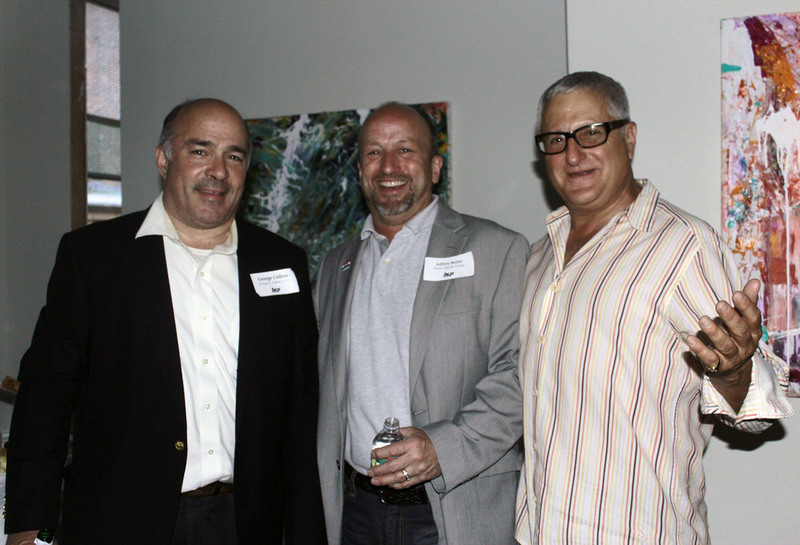 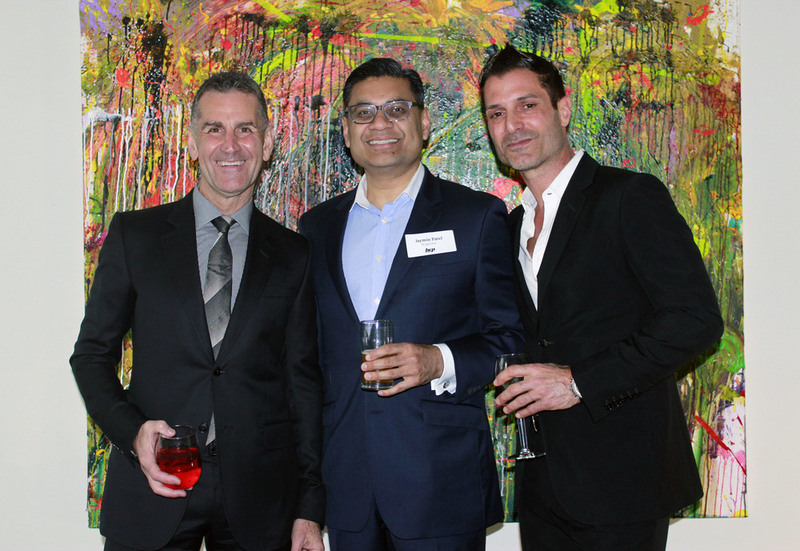 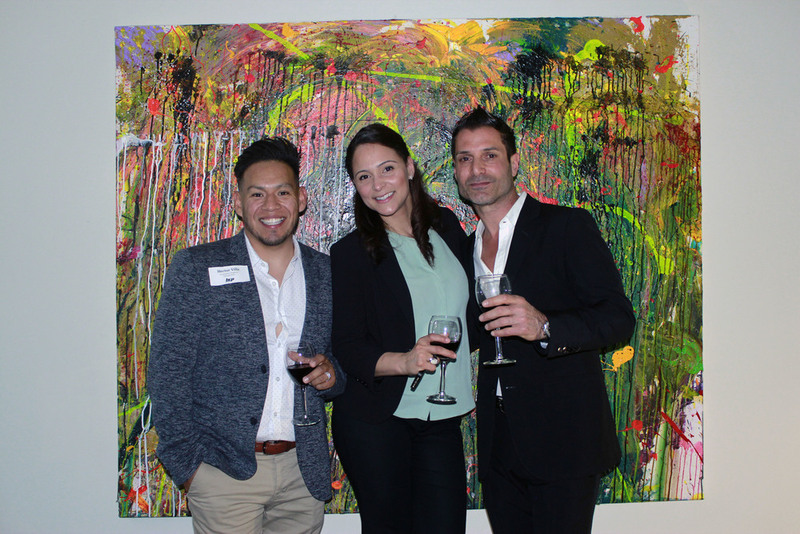 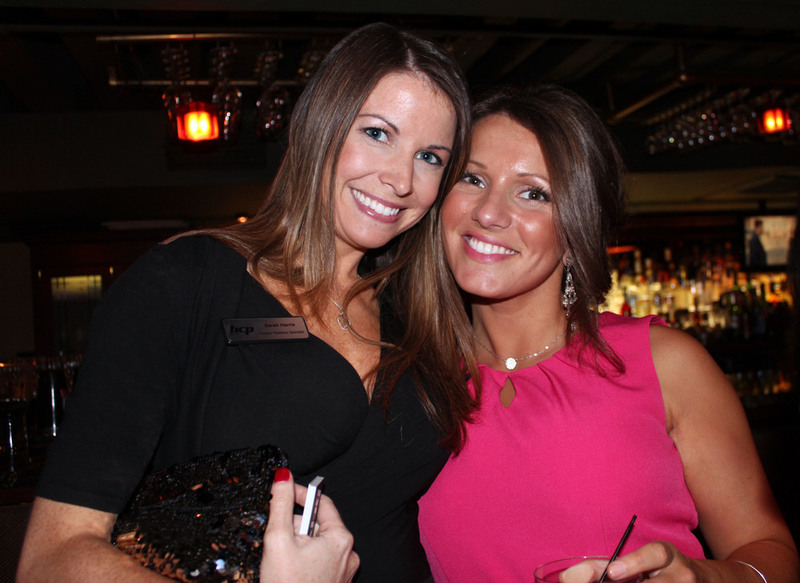 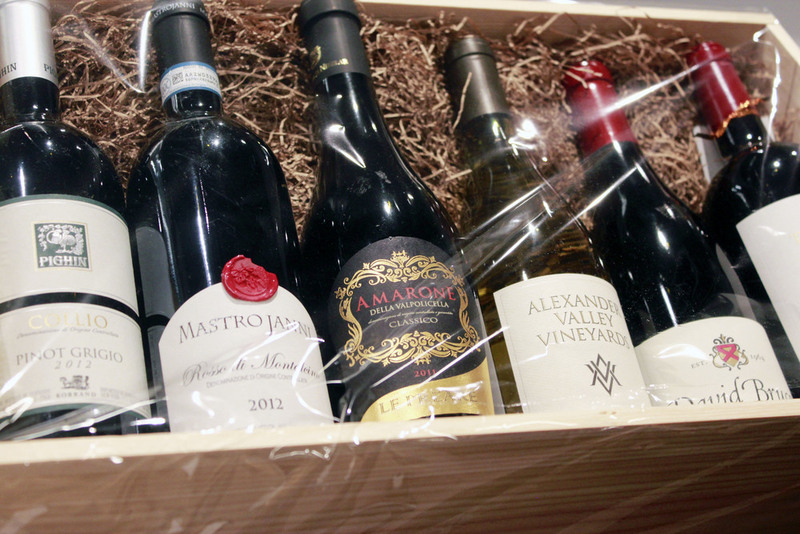 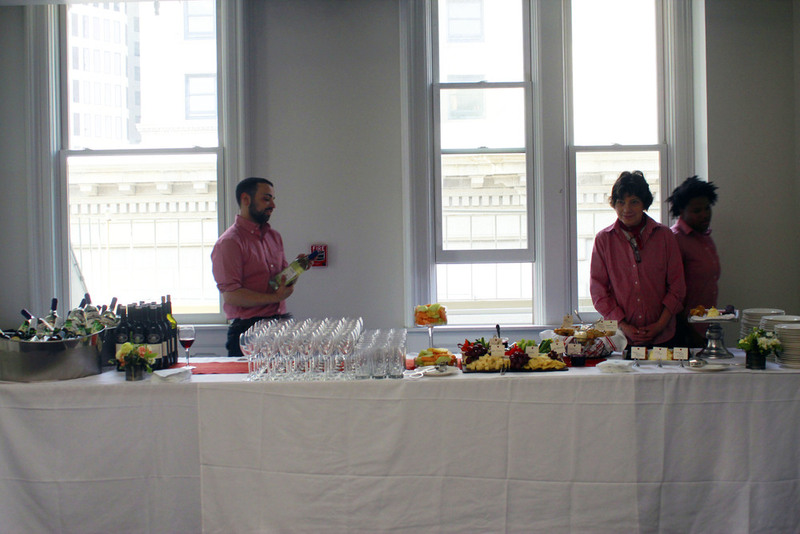 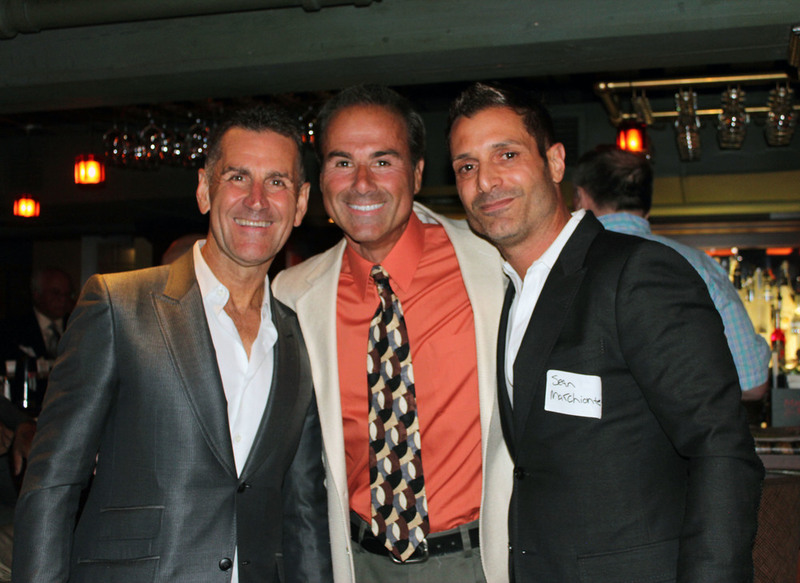 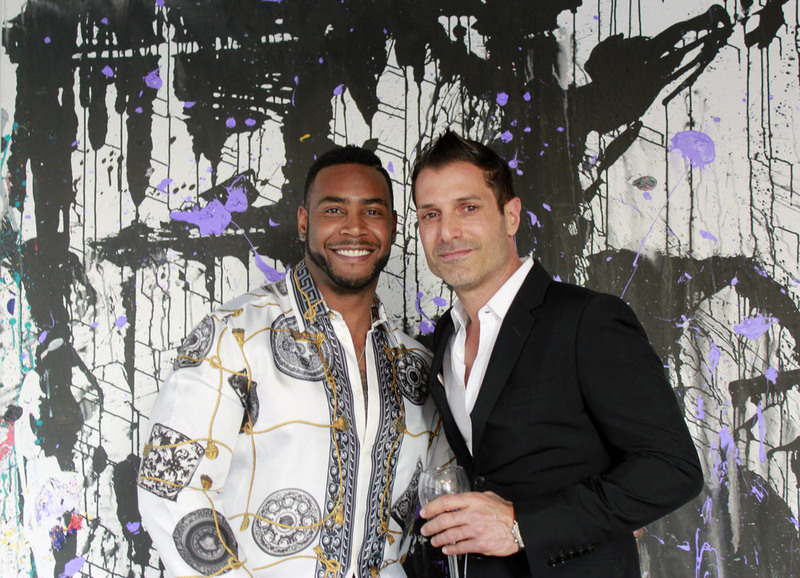 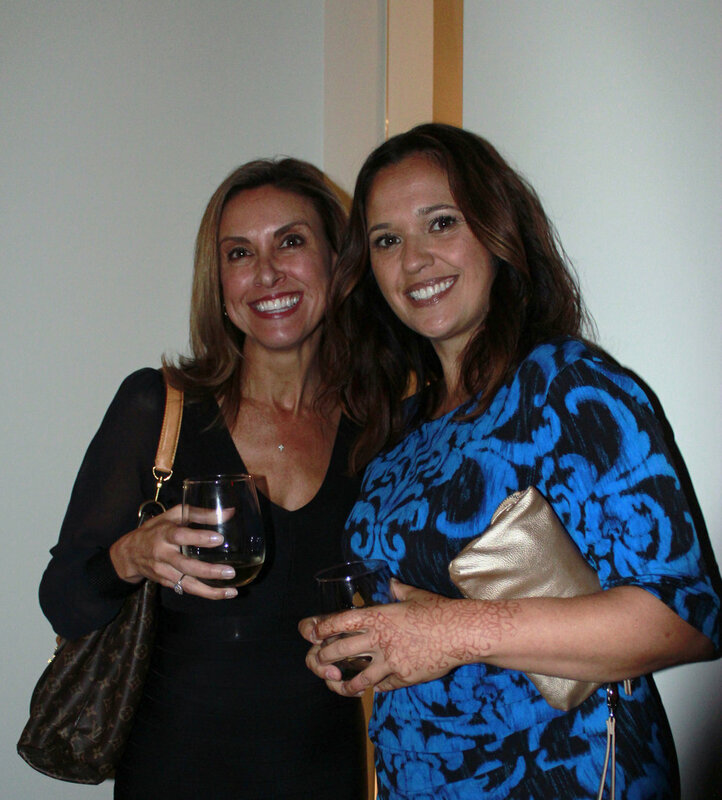 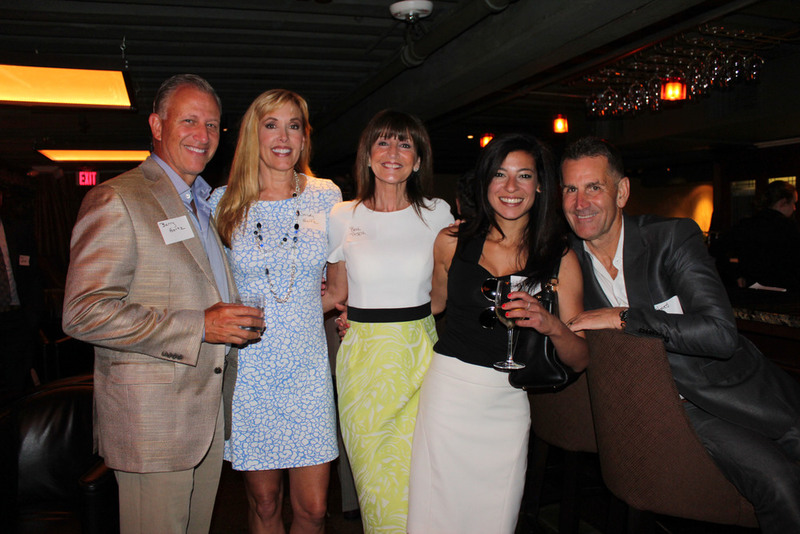 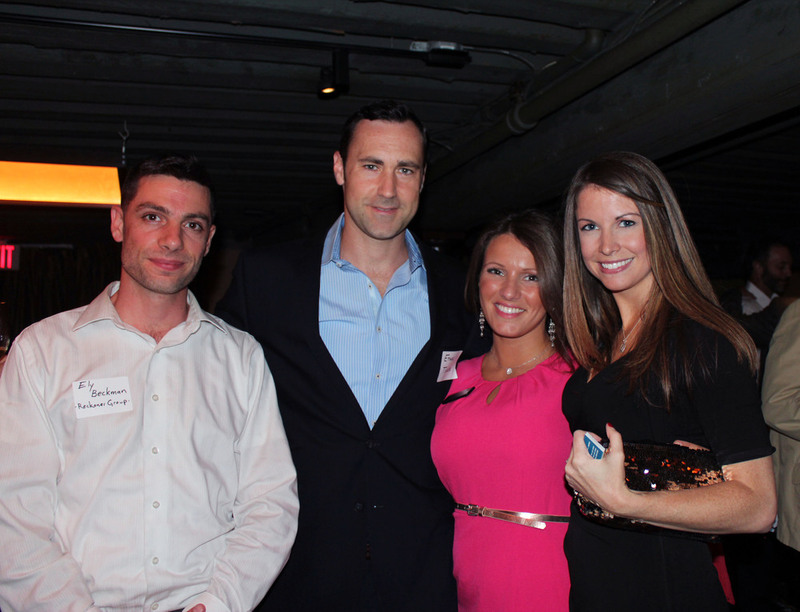 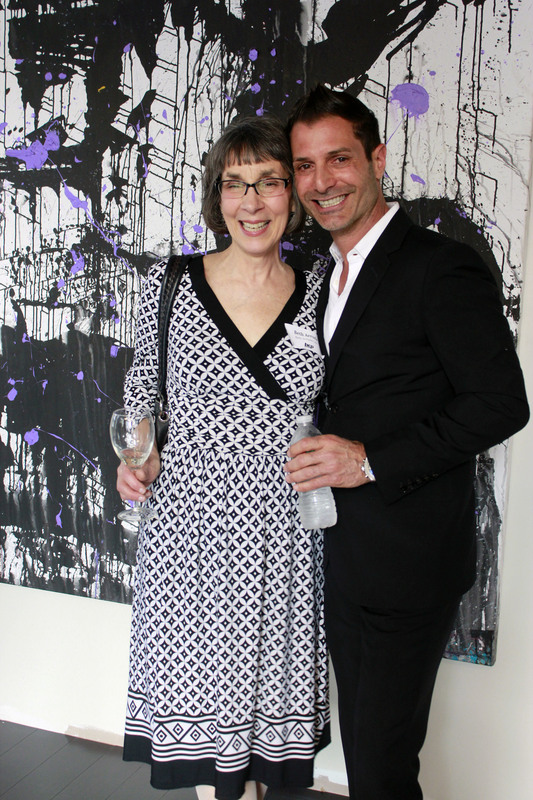 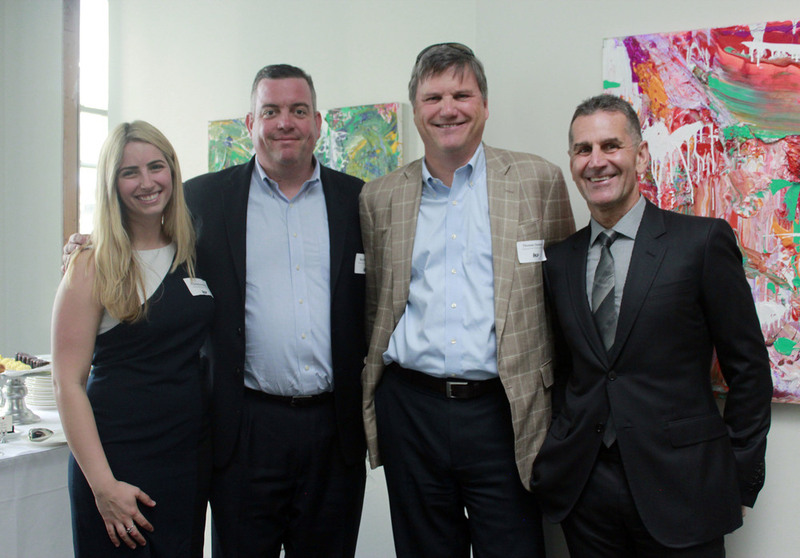 Thank you to all of our many guests who attended our Spring Soiree! 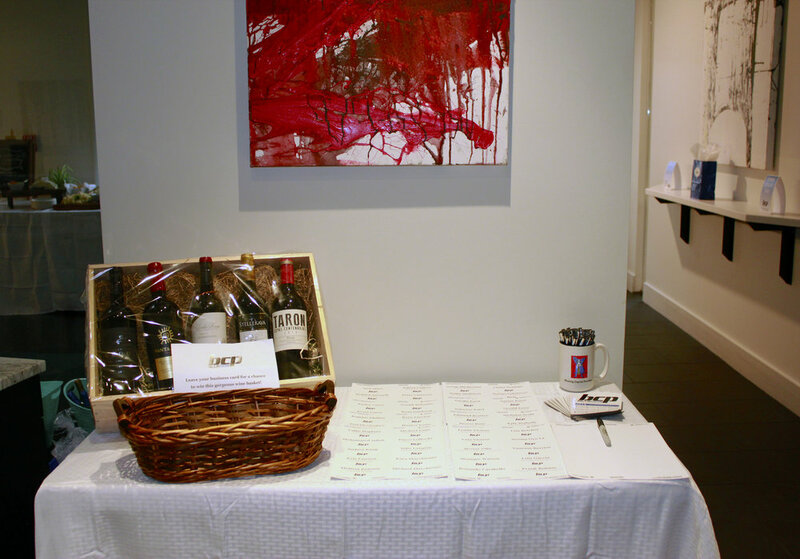 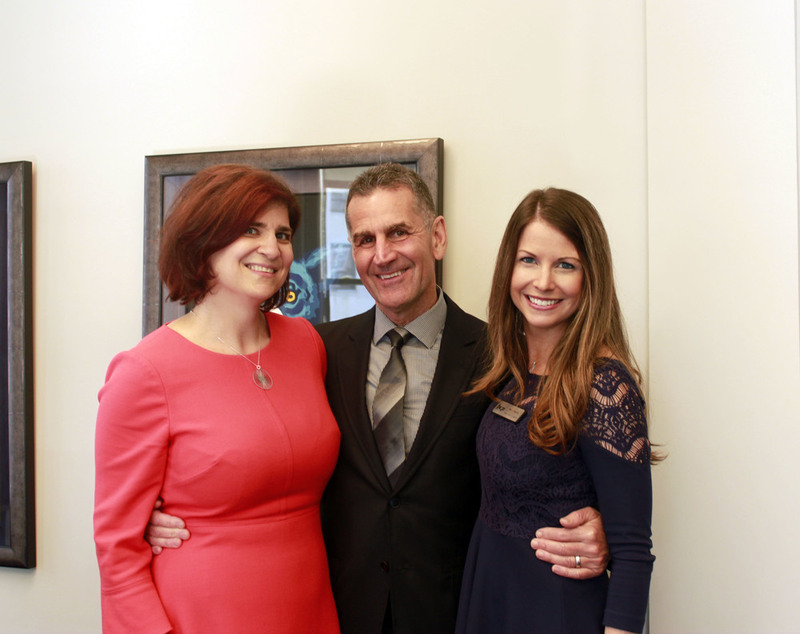 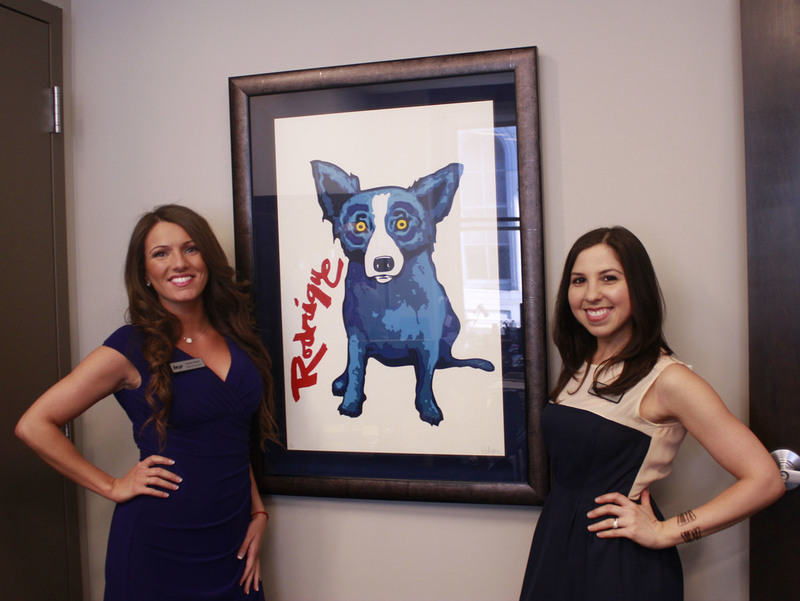 We had a fantastic time welcoming old friends and new and enjoyed cocktails, hors d'oeuvres and fine art on display courtesy of renowned artist, Ron Ehrlich. 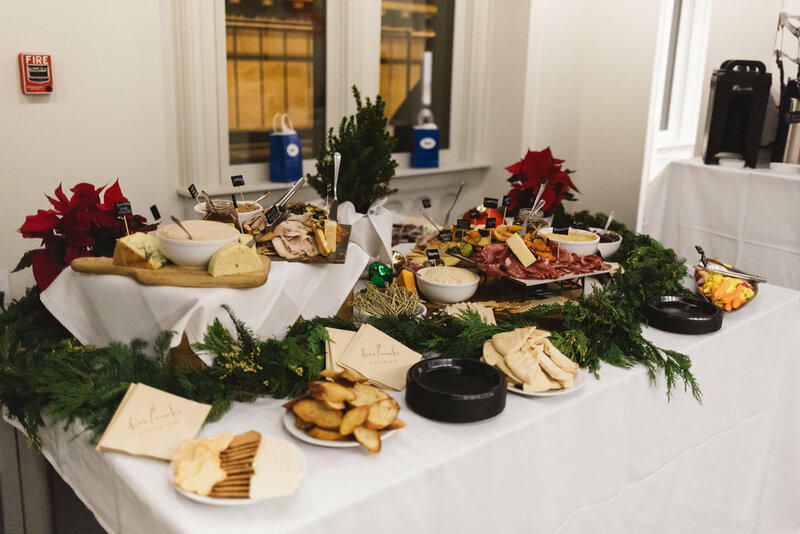 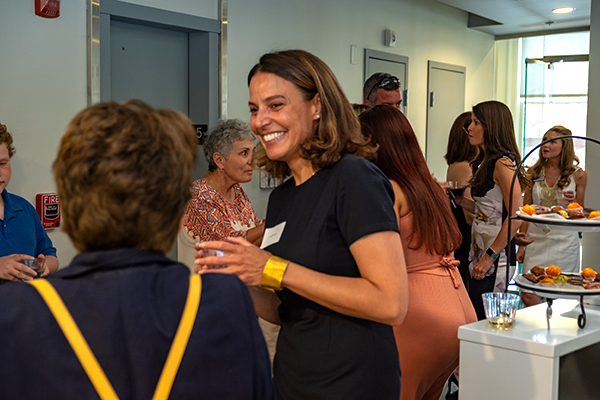 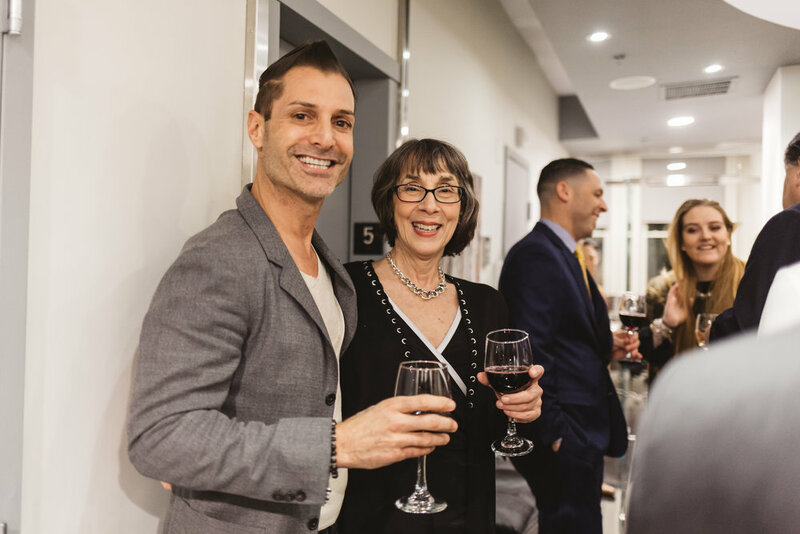 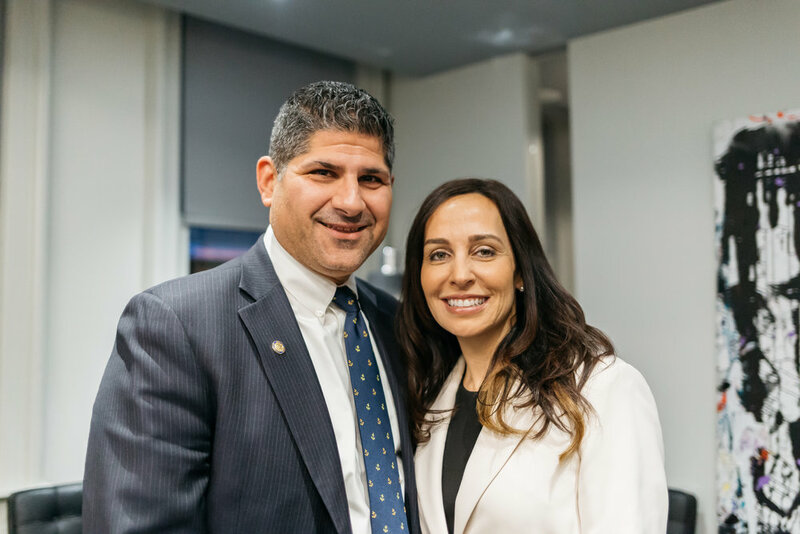 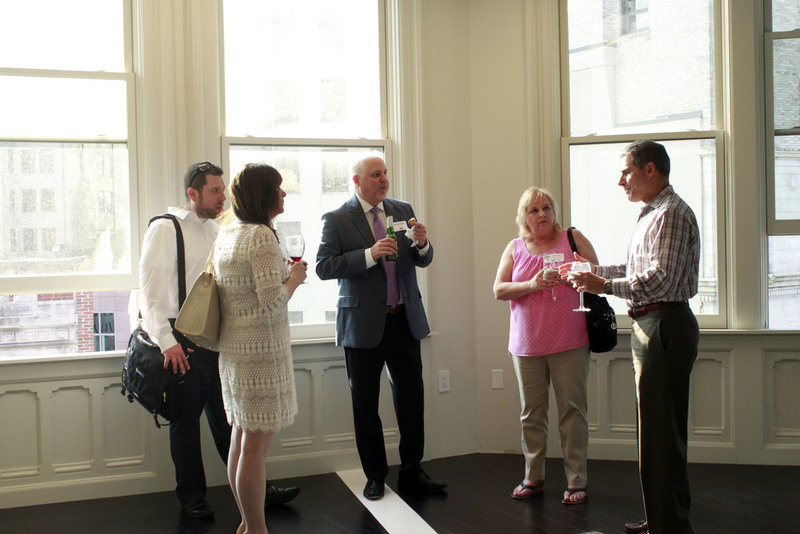 We were thrilled to be able to celebrate on the top floor of the beautiful Custom House building which offers sweeping views of downtown Providence. 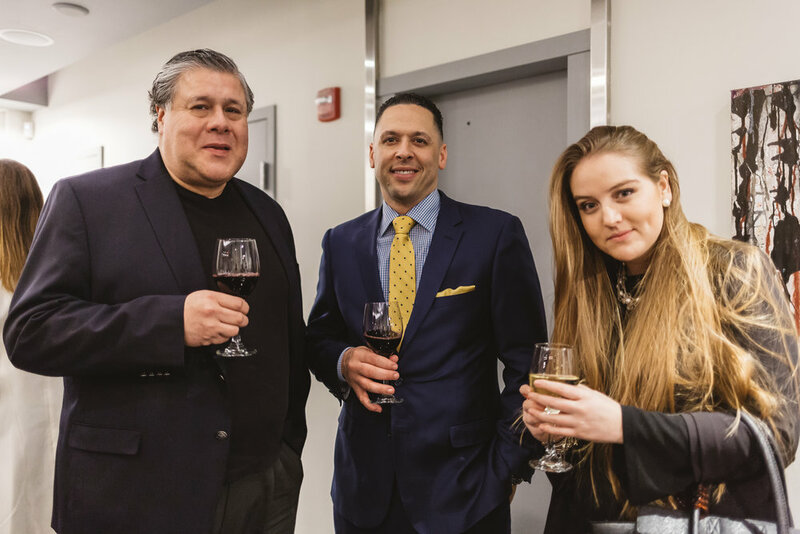 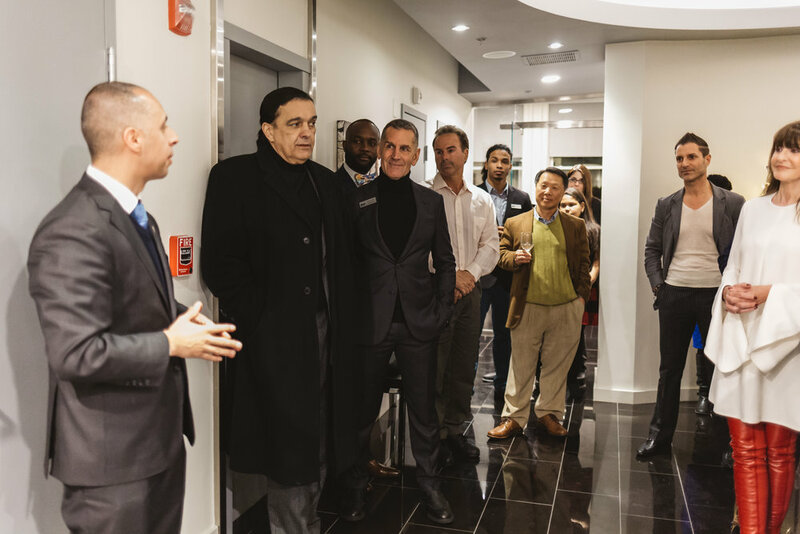 Bluedog Capital Partners is delighted to welcome Dino Baccari and White Horse Vapor to the heart of downtown Providence. 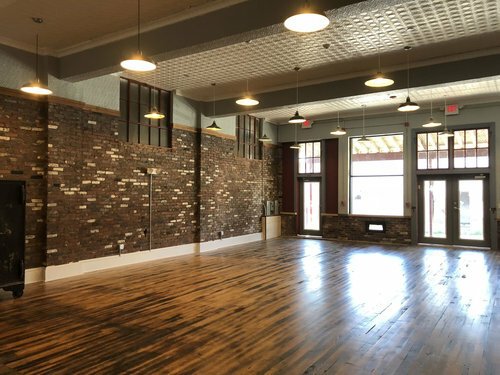 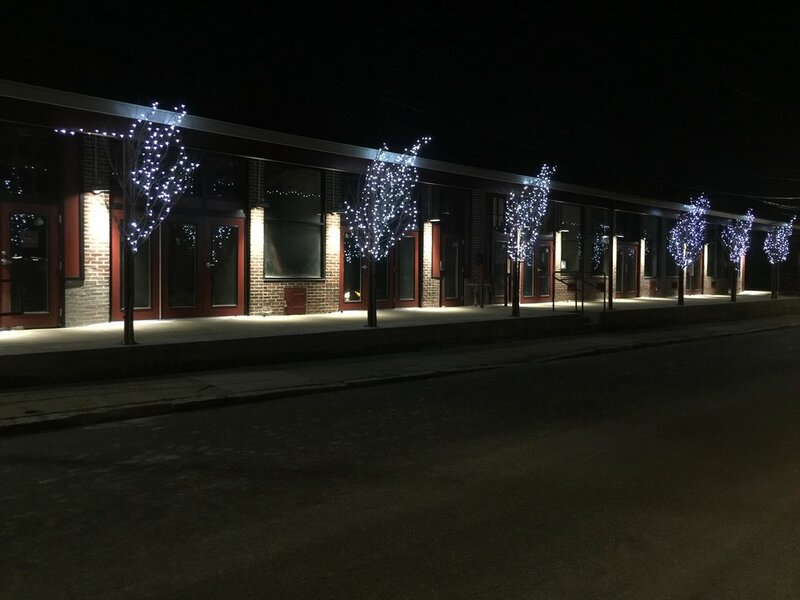 The nearly 2,000 square foot commercial store and lounge located at 100 Fountain Street will feature WHV's signature handcrafted eLiquid and disposable electronic cigarettes as well as a swanky cocktail lounge. 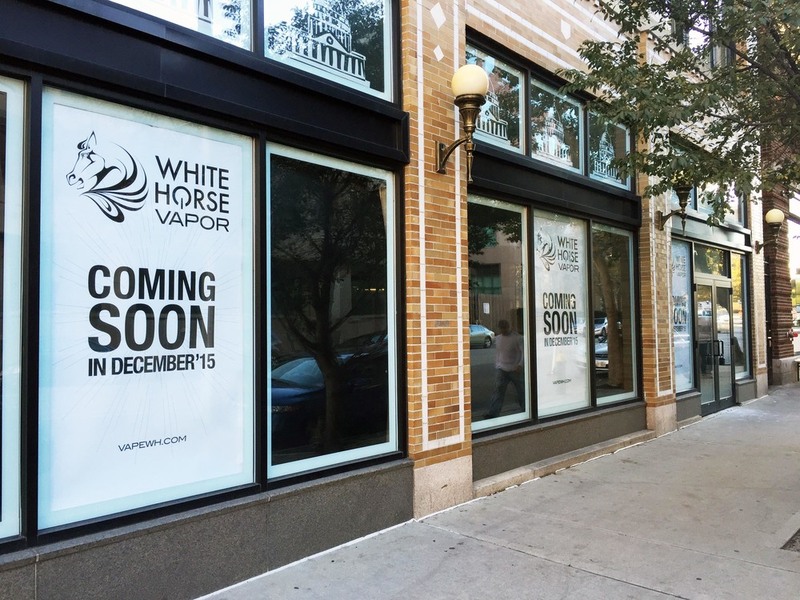 White Horse Vapor's third location is set to open in December 2015. 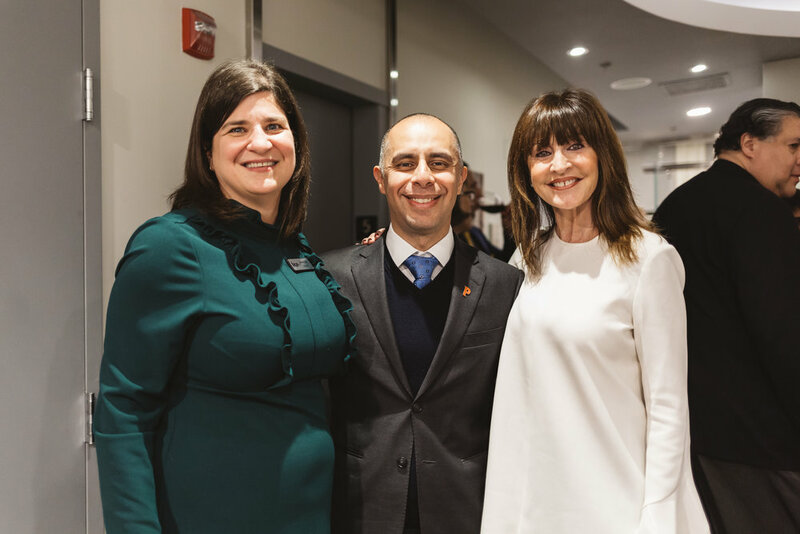 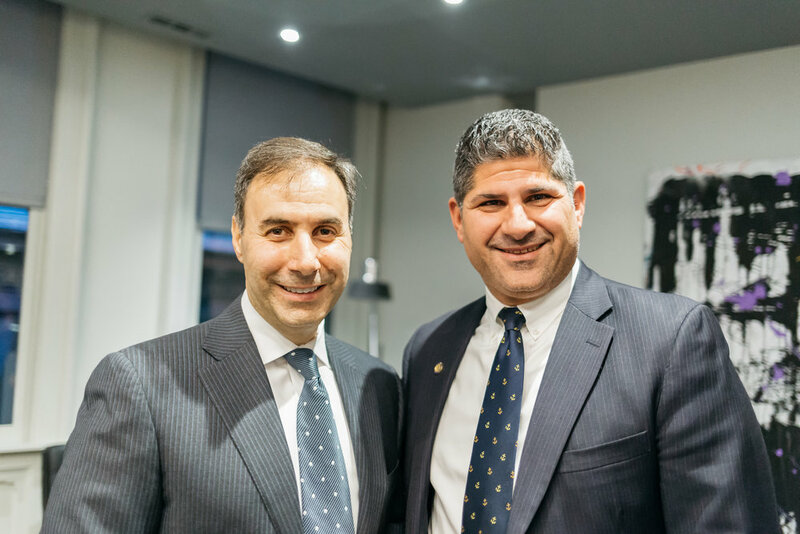 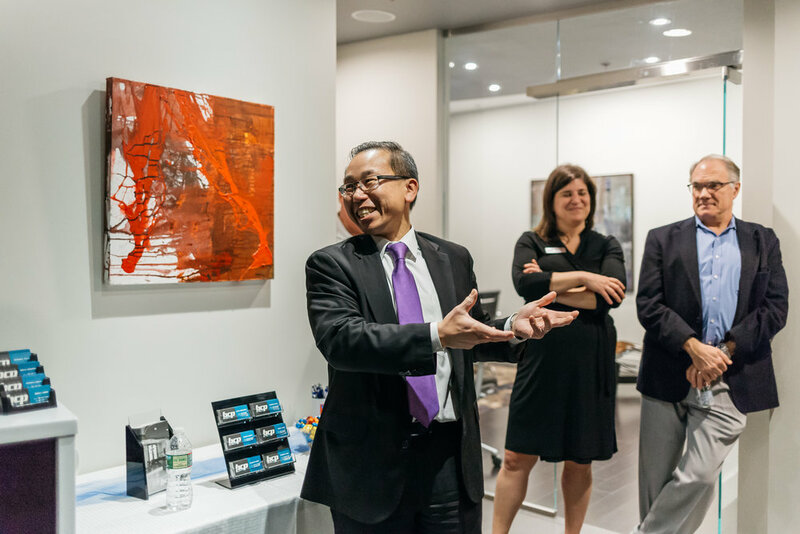 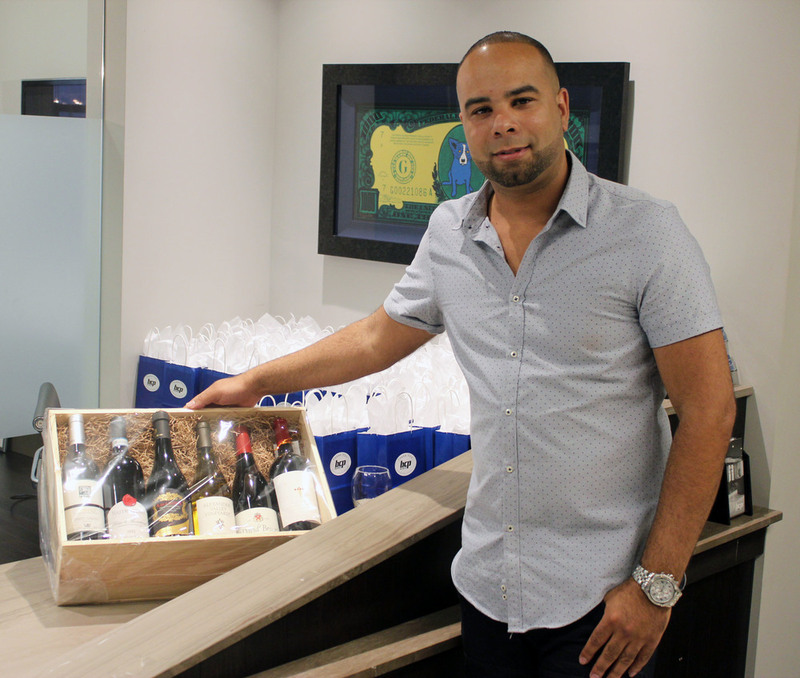 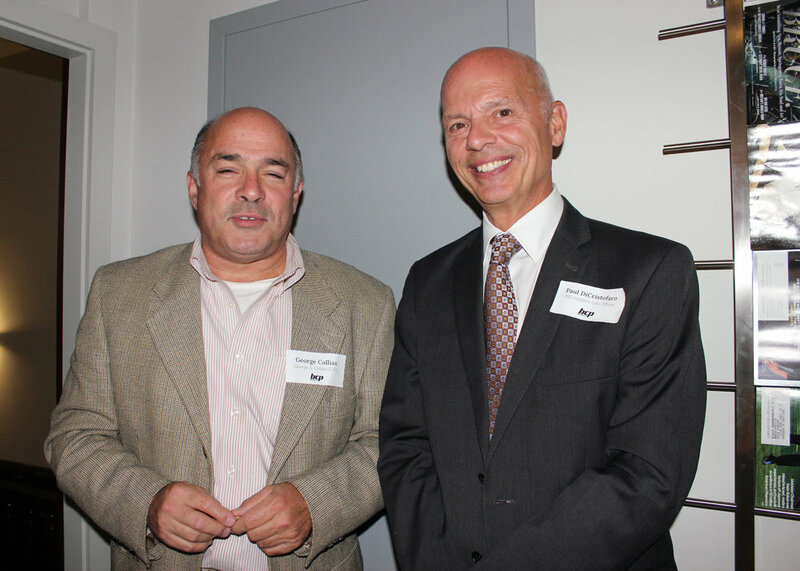 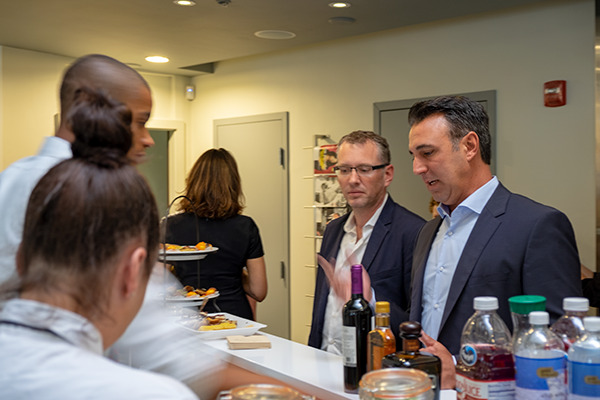 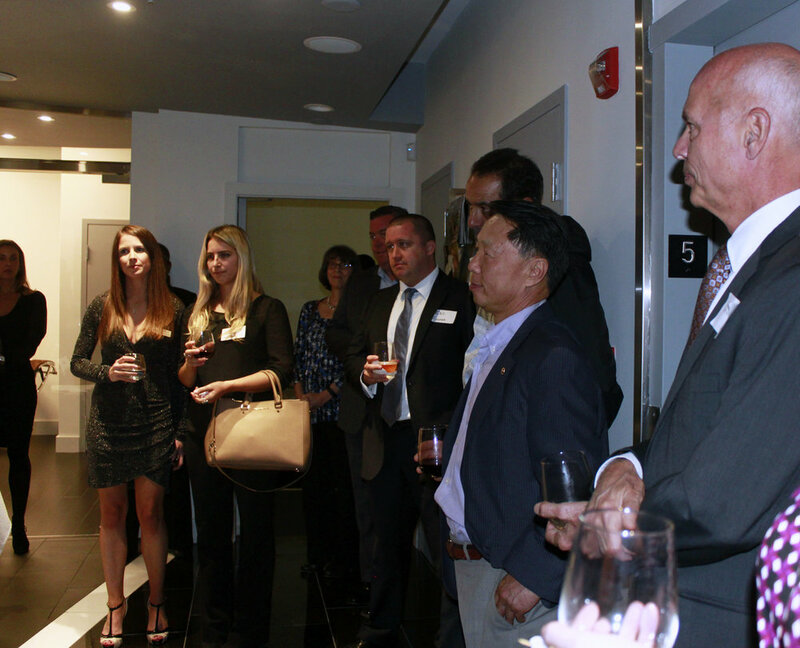 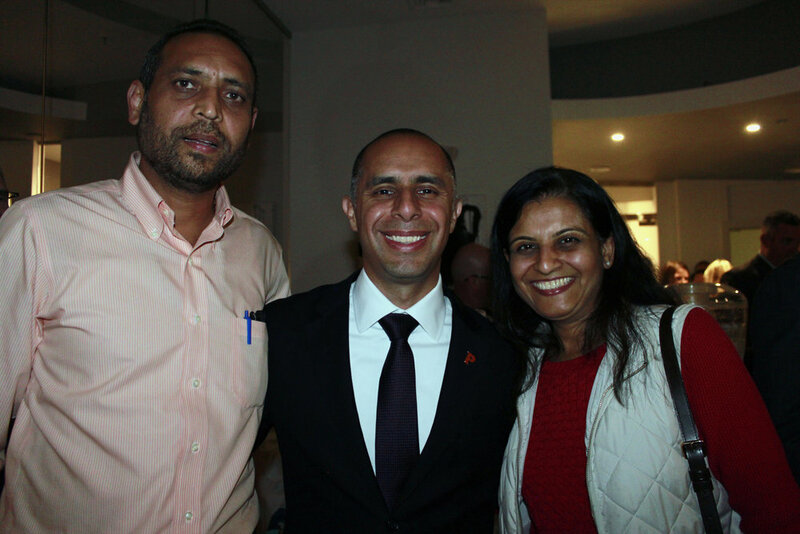 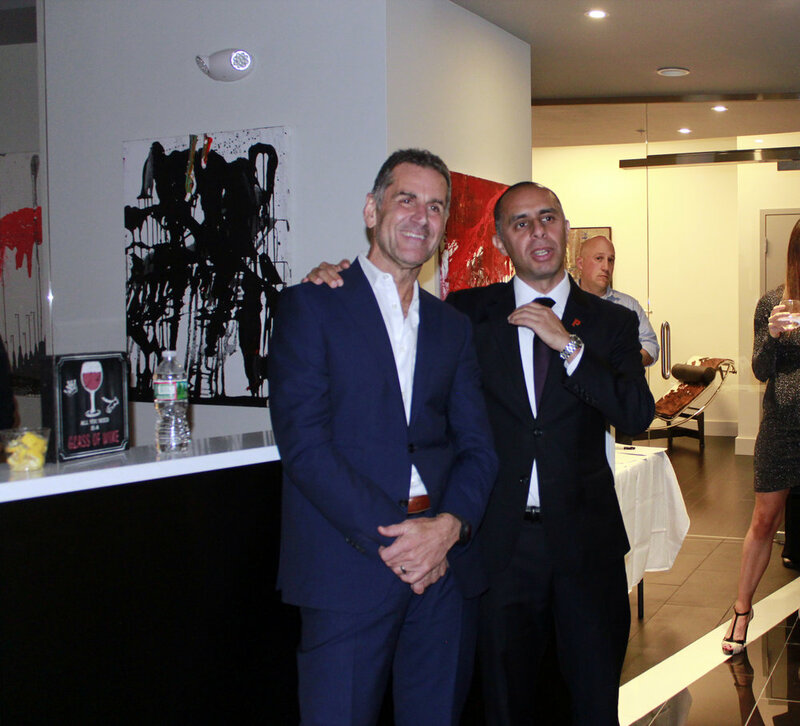 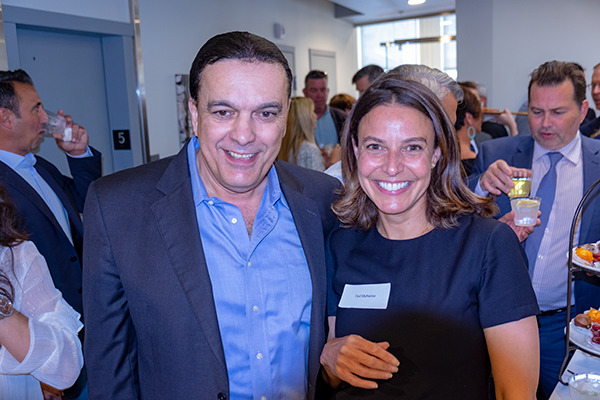 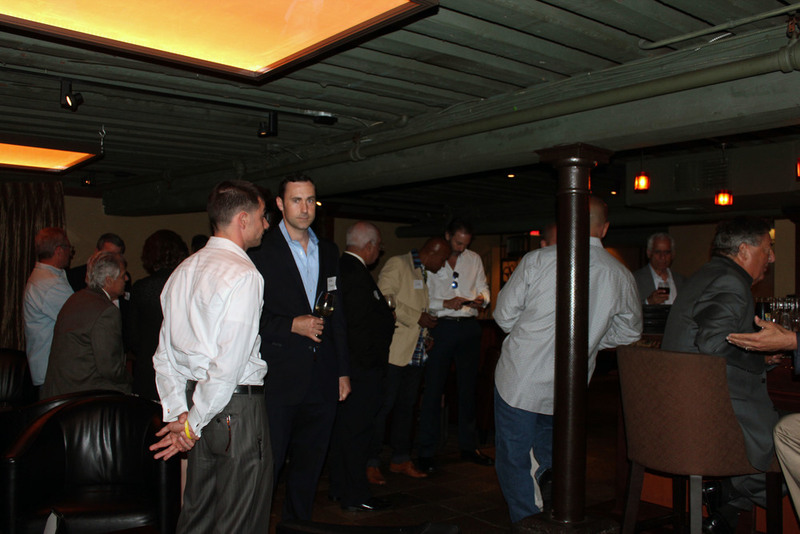 On June 17, Bluedog Capital Partners, LLC partnered with Luis Torrado to host a fundraiser in support of Providence Mayor Jorge Elorza. 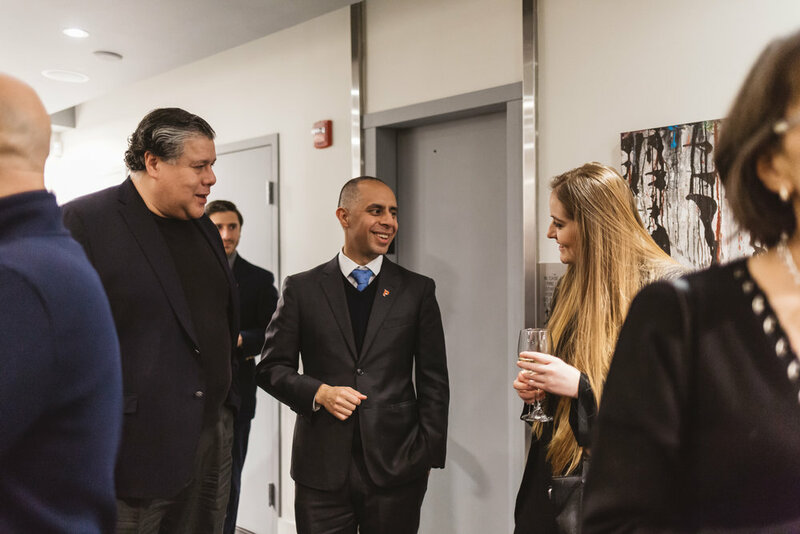 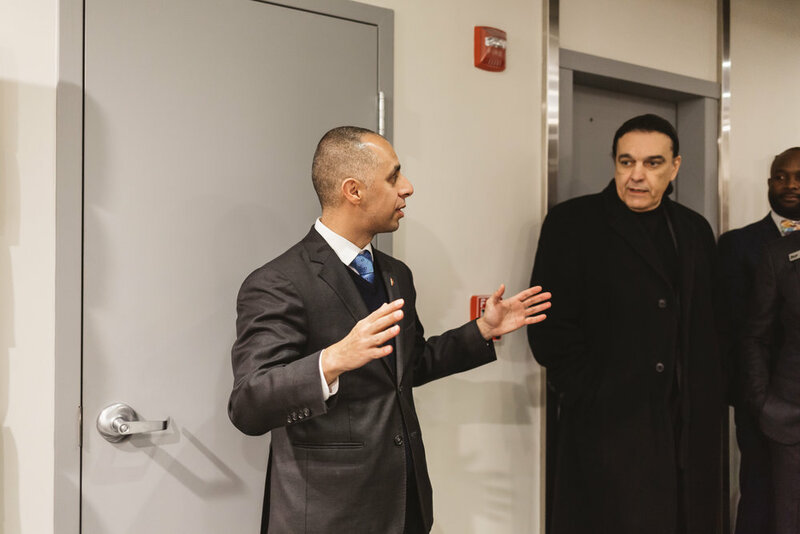 It was inspiring to hear of the many wonderful things Mayor Elorza has planned for The Creative Capital.